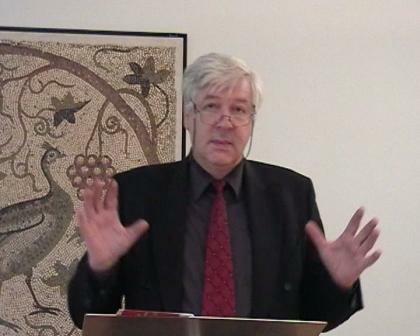 8:55 PM Ekkehard Stegemann (photo), professor of New Testament at the University of Basel, has written a provocative essay called "Calvin als Ausleger der Heiligen Schrift" in the latest issue of Theologische Zeitschrift 65 (2009) 73-89. This Jahrgang is a Festschrift for Martin Anton Schmidt on his 90th birthday. Calvin's theological engagement with Scripture involved a good deal of methodological reflection. What is striking about Calvin's method, argues Stegemann, is his hermeneutical consciousness, that is, his awareness of how methodology shapes our interpretation of texts. Stegemann rightly assesses Calvin's thought as a model of Christian thinking that can help us shape a distinctive religious philosophy. 8:48 PM In the July 2009 issue of Bible Translator (vol. 60), Tommy Wasserman proposes a new rating system in Greek New Testament editions that takes into account both external and internal evidence. He makes some good arguments, though my sympathies lie more with Keith Elliott's view that the whole notion of a rating system is "patronizing spoon-feeding" and ought to be scrapped altogether. 8:42 PM Good news! 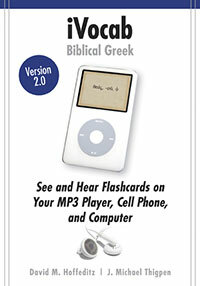 Kregel has published my first-year Greek vocabulary for your I-Pod or cell phone. It's called iVocab Biblical Greek. Check it out. 8:35 PM In 1 Corinthians, Paul had a game plan for the church. He exhorts the believers there to be united around Christ. I have found that where the church is not first vertical, first rich in God, first correctly related to the Lord Jesus Christ, it will be poor in its horizontal relationships. And when a church is not spiritually united around the Lord, its exploits for God in the world will be severely challenged. Love God. Love your brothers and sisters in Christ. Then, as the bond of love with Christ and with each other is secured, we will be able to reach out to a hurting world. I truly believe that, if our churches are to develop a far-reaching vision for the world and a plan to influence others for Christ, we must learn the lesson of 1 Corinthians. Any group of believers must be constantly called back to the Lord Jesus Christ, to brotherly love, and to love for the lost. This was just one of the themes discussed in class today during Alan Knox's lecture on 1 Corinthians. And an excellent lecture it was. Look for Alan to post audio of his talk tomorrow on his website. P.S. Students, the link I mentioned in class is called Unleashing the Church. 8:31 PM This just in. 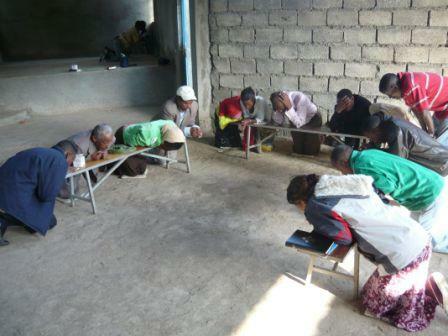 It's a photo of a prayer meeting held this morning in Gondar, Ethiopia. It brought tears to my eyes. The people were praying for Becky. Today was a very special day for me here in Gondar; as I wrote you this morning we had been praying for your health. The evangelists and I started praying. But as soon as we start praying others who were in the church for other program join us in the prayer. Every body was enthusiastically praying here and there in the church building. We prayed for complete healing, for Papa B’s strength and for your ministry; so we strongly believe God will make miracles in your health and ministry. I will write you more in the following days; all the evangelists and the entire people have sent their greetings and love. Please know that we will continue to pray for you even after every body is back home. We can hardly wait to see you again! 8:25 PM I want to express my gratitude to Josh Mann for his review of my latest book, The Jesus Paradigm. 8:22 PM The Husband of the Year Awards have been passed out. 8:16 PM Talbot Davis explains the virtues of the One Point Sermon. An aside: Talbot's church website is one of the best I have ever navigated. Check it out here. 8:12 PM John Meunier discusses preacher idolatry and how to avoid it. 8:06 PM Will Willimon provokes nutritious comment in his essay Christians as Consumers or Disciples? 7:55 PM It is my pesky duty to point you to Ken Carter's essay on The Problems and Possibilities of Healing. Mr. Carter doesn't touch on all the aspects of biblical healing, but he does make some excellent points. As you can well imagine, this topic has become a front burner issue for me in recent days. 7:43 PM Craig Adams asks Is There Wisdom on Twitter? He notes: "Because of the 140 character limit, it's not a good medium for extended debate. (And given the acrimony so often displayed in debates among Christians, maybe that's a good thing.)" 6:36 AM Without Jesus, the 5,000 would have gone home hungry. No matter what we offer to Jesus (our fish, our loaves, our talents, our resources, etc. ), it is He who must do the work if anything is to be accomplished. Lord Jesus, with prayerful expectancy I leave for campus this morning. Like the 70 of old, I've tightened my sandals, taken a deep breath, and marched out to serve you. Thank you for filling my life with purpose and meaning. Serving you is thrilling, awesome. I am but a common foot soldier in your army. Help me to follow you, my Commander, wholeheartedly! I ask this in your name, Lord Jesus. Amen. 6:32 AM Not everyone agrees that all of the so-called Prison Epistles were written from Rome. For a minority perspective, see Bo Reicke's Caesarea, Rome, and the Captivity Epistles. Reicke was my Doktorvater in Basel. 6:24 AM Speaking of brotherly love (and admonition), Tommy Wasserman calls our attention to a new website devoted to KJV-Onlyism. The debate over the KJV is alive and well where I live. And it is most unfortunate. 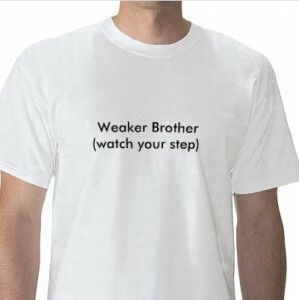 Beware of "professional weaker brothers," people for whom gray doesn't exist. Unless you adhere to their narrow list of do's and don'ts you are sub-Christian, pure and simple. I know of many Christians who live in deadly fear of such people. My advice to you is: Stop! You must realize that while some KJV-advocates are motivated by sincere love of the Word and love of the brethren, others simply want control. We must confront them, in love, but confront them nonetheless. The "look-down-on-others-because-they-do-not-use-the-KJV" position is not a lifetime option. Above all, we must not allow professional weaker brothers and sisters to scuttle our evangelistic efforts. 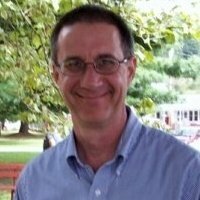 6:12 AM In New Testament Theology class tomorrow Alan Knox will be speaking on the assembling of the church according to 1 Corinthians 12-14. All are cordially invited to attend this guest lecture. We meet in Adams 211. Alan's lecture begins at 2:00 sharp. At the heart of this great passage is the Love Chapter. 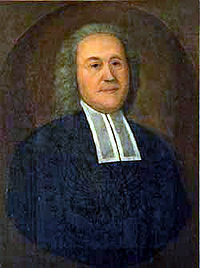 Gilbert Tennent (1703-1764) once preached a sermon called "Brotherly Love Recommended by the Argument of the Love of Christ," in which he exhorted his congregation in Philadelphia to greater love for one another. He observed that the closer Christians get to each other the more they learn of each other's faults. It is at this crucial point, he said, that they must move forward in pain and self-discipline to perfect their love for one another in spite of their obvious differences. This is courageous Christianity at its best! And it sometimes involves admonition and loving confrontation. I know this theme is near and dear to brother Alan. I am eager to learn more from him what it means to have an honest, open, and loving interaction with other Christians at intimate levels. 6:07 AM My colleague Andreas Köstenberger discusses such issues as the "husband of one wife" requirement and the question of whether churches should have deaconesses in his excellent essay The New Testament Pattern of Church Government (.pdf). 6:05 AM We all owe John Anderson a great debt for his sound advice on applying to Ph.D. programs. May God bless you at Baylor, John! 6:01 AM Looks like I live in the gluttony capital of America. 1:58 PM A reader sent along this link. Thank God for those who loved instead of hated. Are youpraying for Muslims? 1:44 PM Just finished mowing the yard. The sun is shining happily and the temperature is a perfect 78 degrees. I have rarely seen a more beautiful day. 12:38 PM Churches in Cobb County, GA, have just redefined "morning church service." You've got to love it! 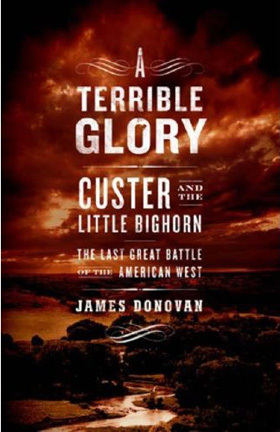 12:18 PM Just ordered: A Terrible Glory: Custer and the Little Bighorn - the Last Great Battle of the American West. 11:50 AM A week from today Becky and I will have the wonderful privilege of being on the campus of Houston Baptist University to talk about language learning as well as Ethiopia. I couldn't be more excited. This will be my first ever visit to HBU. 1:00pm to ?? -- LUNCH: We will have you for lunch at our campus dining facility (yes, the silly ambiguity was intended!:). It will be informal, all of our BA and MA students in BL will be invited to come and eat and pepper you with all kinds of questions. 5:00pm to 6:00pm -- Depart for DINNER: We will have a private dinner with just the MA students (and spouses) and several of our BL and Biblical studies professors (and spouses). All of this is part of a scheduled 10-day trip to Texas that begins this Thursday, Lord willing. We'll be presenting the Ethiopia work to churches in Dallas and Houston and also meeting up with missionary friends from the past. Our desire is to give God all the glory and to consider it a great mercy on His part that He has used us in His service. We are so unworthy of this task! 11:22 AM Wonderful devotions today from 2 Cor. 4. Here we get a great description of God's power in weakness. Paul, the fragile vessel, says he was "afflicted in every way but not crushed." The REB says he was "hard-pressed but never cornered." I love that! Paul then goes on to produce one of the New Testament's greatest word plays when he writes "aporoumenoibut not exaporoumenoi." Furnish, in his commentary, translates this as "despairing, but not utterly desperate," while Garland prefers "stressed but not stressed out." God works through my weaknesses, limitations, and failures. I cannot do anything without His power. My weakness is necessary if I am to preach the folly of the cross. God's means of making us strong is by making us weaker and weaker until the divine power alone is seen in our lives. One last observation: Note that Paul uses the plural. It wasn't just he who needed to learn these lessons. You can bet your bottom dollar that everyone on his mission team felt exactly the same way. 11:06 AM The Axis of Evil has now been reduced to a Spoke. When Hillary goes to the United Nations to make her case for war with Amadinejad, it will be just like the good old days of U.S. foreign policy. The historian Daniel Boorstin was right when he said that planning for the future without a sense of history is like planting cut flowers. 10:37 AM Ed Goodman tells us How to Love Everyone, friends and foes alike. 10:24 AM Just a note to mention how blessed I've been to read Becky's essays written in the midst of her suffering. Thus far she has written 10 of them. I'm reminded of what Paul said in 2 Cor. 1:6 -- that his troubles contributed to the welfare of the friends to whom he was writing. He hoped that the encouragement of his example would deepen their dependence on their Lord. Becky has consistently demonstrated the sustaining power of God to keep her. No doubt this is one reason she receives so many emails from like-minded sufferers. But, you ask, isn't your mission work hampered as a result? The answer is yes only if we think of missions as traveling in person to some far-off mission field. Like Paul, we seek to be a "savor of Christ" to others wherever we are, and this can be accomplished just as effectively, I suppose, through a website as through a mission trip. Our greatest concern to save the lost by whatever means God gives us, for it is the task of every Christian to share what he or she enjoys. A hearty "thank you," then, to all who have so graciously expressed their love and appreciation to my wife. We are all struggling -- every one of us -- with uncharted territory. But isn't it nice to know that we don't have to travel down the highway alone? 10:06 AM I've noted with interest the number of conferences these days on church leadership, most of them having to do with preaching. As I read the New Covenant of Hebrews 8, I wonder if our emphasis should be elsewhere. Here the author (Paul, of course!) refers to a Christocentric fraternity of normal, everyday "laypeople" whose job is to "know the Lord" personally (without the mediation of any so-called "expert") and then do their jobs daily to the glory of God as His servants. It is the layperson, not the leader, that forms the spearhead of themissio Dei. Any conference that focuses on leadership should, I would imagine, seek a larger role for the laity in both the teaching and witnessing functions of the church. The church gathers for mutual edification for the very purpose of being dispersed out into society. Unfortunately, nearly all the conferences on church leadership I've been acquainted with seem magnetically attracted to treating primarily (or even exclusively) the place and function of the ordained clergy. I'm wondering if I'm an oddball exegete in thinking that every Christian is an equally valuable vessel in the Master's house, and that conferences on the biblical characteristics of a church should display this truth more prominently. 9:49 AM I am amazed at how many churches in the South have the word "Corinth" in their names. The Corinthian church was riddled with factions and cliques. They had their Paulites, their Cephasites, their Appollites, just as today we have our ____ ites (you can fill in the blank based on your favorite theologian or preacher). Then there was the Christ-party, the "Christites." I imagine they were the most troublesome of them all. They were "above" such worldly and fleshly cliquishness. I'm glad to be associated with a local group of Jesus-followers at The Hill who are glad to be known as "brothers and sisters"! I, henceforth, REPENT of any involvement I have had in speaking harshly (or inappropriately) against any one translation or another and or against any particular Bible publishing company and its marketing strategies, or against particular people or persons who promote one translation philosophy over or against another. Doing so, I feel has cause me to loose focus on what really matters: To know God(and being known by him), and to make him known. This can adequately be accomplished with any one English translation of the Bible or another and not necessarily one specific English translation or another necessarily. 9:38 AM David Rausch, a church history professor at Asbury Theological Seminary, has written a disturbing book called A Legacy of Hatred: Why Christians Must Not Forget the Holocaust. Rausch concludes that the church failed the Jews during the holocaust by not doing all it was possible to do on their behalf. Rausch cites the words of a delegate to the 1950 Synod of the Evangelical Church in Germany: "In every train which carried Jews to their death-camp in the East, at least one Christian should have been a voluntary passenger." 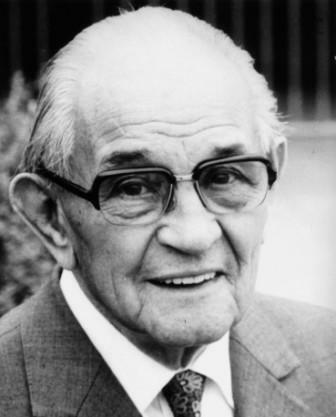 In 1945, Martin Niemöller (photo) declared, "If we had been ready to go with Him to death, the number of victims might well have been only some ten thousand." In 1946 he asserted, "Christianity in Germany bears a greater responsibility before God than the National Socialists, the SS and the Gestapo." 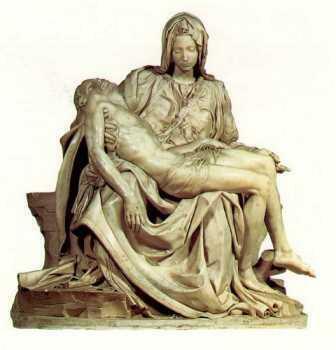 The German theologian Christoph Blumhardt once said, "First the human being must become a Christian. Then the Christian must become a human being. And this second conversion is sometimes missing." His point? We are called by God not only to live in Christ but to live in the world. After World War II the German Kirchentag called the church to be the church where it was. The evangelical academies, like the ones at Bad Boll or Bad Liebenzell, called tradesmen and businessmen together to recapture their Christian citizenship and put it to work in their vocations. I pray that all of my students catch a glimpse of this vision of the kingdom. The church must understand that it is not a church to be served but a work force to be deployed. We cannot shun the hard places or the difficult task. We must even risk death if necessary for the sake of the Gospel. Are you willing to do that? Am I? 8:20 PM Wanna come with me as I water one of our herds? This group of Angus is in what we call the "ripple field." Here's their water trough. All we have to do is turn on the spigot. Of course, we need to take the dogs with us. But for now we'll keep them out of the pasture. Angus mamas can be real protective of their calves, and rambunctious little Chloe and Daisy might get themselves into a heap of trouble without even realizing it. Here the dogs have started a scrum. Dayda just got the worst of it, as everyone piles on. I see that Daisy has found a cow horn to chew on. Never know what yummy objects you'll find in our pastures! I also never met a dog that didn't enjoy a tummy rub. Dadya is in third heaven. Well, I see that the tub is full. Thanks aplenty for your help. I enjoyed your company! "Gee, I wonder if Obama will be there to greet his brothers, and show his true colours to the Americian people? Good place for a bomb if any time. Sorry, but if you don’t get them, they’ll get us. Let’s face it this is what they are aiming for." You can read more blather here. Friends, mercy surpasses judgment. This truth seems to have been forgotten by the pitiless line of preachers excoriating homosexuals these days and calling down fire from heaven on Muslims. God's justice is part of His love. I maintain that we must make a choice -- a conscious decision -- to love others, even our enemies, and do good to those who hate and persecute us. When I asked Tesfaye (photo) what he was doing to reach the men in his village who had beheaded his 8-year old daughter and threw her decapitated body down the village well, he stated simply, "We do two things. First, we live holy lives. We don't lie, cheat, or commit adultery. Secondly, we love and forgive our enemies." That attitude strikes me as centrally important. As the problems of evil, suffering, and hatred proliferate everywhere, we find ourselves faced with a choice. We must vigorously reject our nasty habit of getting back and getting even or, still worse, praying imprecatory Psalms on lost people. Naked and poor, they desperately need the Gospel. And faith invites us to risk everything to tell them about the Savior. So where do we go from here? The fields are white unto harvest, and you've been drafted. You can bless or curse. I would suggest that you ask God to bring to mind a handful of people who are prime candidates for salvation. Then serve them. I cannot begin to tell you how critically important it is for the sake of the Gospel to discover that we are servants. Are you serving? Are you cultivating relationships with those who are vastly different from you? Jesus set the example. It's service with no strings attached. Service with no "holier-than-thou" baggage. It's service motivated by one thing and only one thing: love. Love? Sorry, we're too busy hating. 4:38 PM Rumor has it that the bigger the church, the better. That noses and nickels matter most. It's a rumor, folks. You'll be delighted to know that God uses churches of all sizes and shapes -- big and small. Today we met with a fascinating, radiant Christian community called Messiah Baptist Church. This small church is breaking down Everest-sized barriers in the community by simply being the hands and feet of Jesus to their neighbors. Wow! Folks, isn't it about time we got back to the Bible's way of moving people toward Christ? But there I go preaching again. The real point of this post is to say how much Becky and I enjoyed our time at Messiah this morning. As always. Becky was phenomenal as she presented what the Lord Jesus is doing in Burji, Gondar, and Alaba. Afterwards we had a pow-wow with anyone interested in possibly coming with us next July. Would you believe that about half of the adults in the congregation attended? Just talking with them fired me up about reaching the lost and sacrificing my time and talents for the Muslims, the animists, and the Orthodox of Ethiopia. Our being at Messiah today was no accident. I firmly sense in my spirit that the time has come for them to send a team along with us. I sense in this congregation the glory of God. The glory of God is not something to mess around with. To replace it with a lesser glory is nothing but idolatry. Here is, I sense, a group of simple followers of Jesus who are heaven-bent on reaching the community around them -- and the world -- with the love of Christ. We're co-laborers for God. As iron sharpens iron, I would love to spend time in Ethiopia with some of the people of Messiah. So we'll see whom the Lord appoints to come with us. Meanwhile, if you're a redemptive person, thank the Lord for giving you that desire. All of us are commissioned by Jesus to prepare webs of relationships whereby others come to know Him. This next week would be a good time for me to reach out to lost scholars, lost students, gas station attendants -- whomever! -- with a smile and maybe (as the Lord opens the door) with a loving word about Jesus. Wow, do I love the Gospel. Like a good steak, let it sizzle, hiss, and spit! P.S. You thought you'd get away without me showing some pix, did you? Think again! 8:24 AM Our focus this morning at Messiah will be on Alaba, which is a wonderful region of Ethiopia that is 99 percent Muslim. We affectionately call it "Dusty Alaba." The region is dry and hot. Typhus and typhoid are endemic. 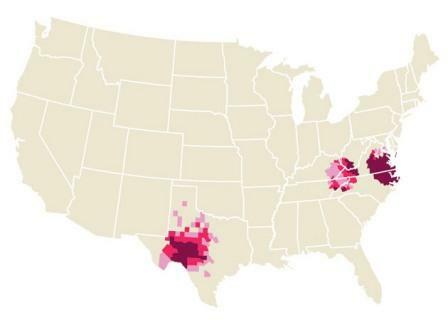 At any given time one third of the population suffers from malaria. For our July 2010 trip we are wanting to do simple Bible teaching both to children and adults. How easy it is for us to fall into the snare of placing men's words above God's Word. We who were predestined to be conformed to the image of His Son go about preferring the example of others to the Perfect Model. Our Lord was careful again and again to stress all-out devotion to Him. We are complete only in Him. The simpler our faith, the better. I am especially eager for someone to come who can teach the people what a healthy New Testament church looks like. This will include, of course, teaching about suffering. While the modern church seeks medals, the early Christians wore scars. 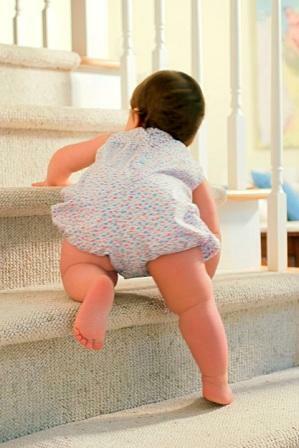 Being true to God did not put them at the top of the ladder but at the bottom rung. This is true today in Alaba. 7:48 AM Becky reports "All systems go." MBC, here we come! 7:23 AM "The reason there are so many prima donnas in the pulpit is that we have given the messenger more honor than the message. We need someone to be for us what we are not for ourselves." Lloyd Ogilvie. 1) When our electricity blinked a couple of hours ago, I lost everything on my blog in Front Page. It was gone! Thanks to the Lord's help I was able to figure out how to get it back from the web. But it took me two hours! 2) We haven't heard from Oshe yet but my heart is at peace about the vehicle. It's such a relief to know that the whole work of missions is God's task, and not ours. Sometimes ministry is very puzzling, and we try to anticipate what God will do. But God is the supreme fisherman, and He knows how to go about making disciples. It is not our job to tell Him what to do. It is our job to be obedient servants, nothing more. I am a shameless advocate of praying about a matter and then leaving it in God's hands. Then, when God directs you to do something, do it. It will be your privilege to see His good hand at work in you, a weak vessel. 5:50 PM Right now Bec is cooking liver and onions for supper. With mashed potatoes. Been waiting all day for this treat. 3:24 PM Sure is nice to have Becky up and walking again and doing normal kinds of things. I even hear the bread maker going in the kitchen. God has been soooooooo good to us! 3:22 PM The Synoptic Problem keeps swimming around in my head like hungry koi. History declares that there is an answer to it. It agrees that Matthew was our earliest Gospel, and that it was intended for a largely Jewish-Christian audience. "Oh," you say, "there you go again, Dave, dragging the church fathers into it. I can't believe what they say!" Let's be ruthlessly honest. How many Markan priorists have carefully, thoroughly, andobjectively examined the external evidence in detail? If they have, I have rarely seen it discussed in their books. That's why it seems to me highly appropriate that the church fathers be taken into consideration. We snap our fingers at history and tell it to take a hike. Little wonder the Synoptic Problem is considered insolvable. Just my opinion, but I believe the academy has been stuck and stuffy for too long. The evidence must be faced. It took me a week of translating the Greek and Latin fathers in an abbey in West London before I realized how convincing their testimony was. I suppose it's necessary to add that in my own teaching I expose my students to the leading options today, including the Oxford (Two Source), Griesbach (Two Gospel), Farrer, and Independence Hypotheses, then ask them to make up their own minds. It was my eagerness to see that people were given an exposure to the various solutions that prompted me to organize a conference on our campus back in 2000, the papers from which may be found here. I don't claim for a moment that I am the only one who sees the heart of the problem. I used to puzzle about the Synoptic Problem as much as the next person. Then I read the fathers, and they left no doubt in my skeptical mind that they got it right and we got it wrong. My simple question, fellow bloggers, is this: Shall we not fail miserably as New Testament scholars if we fail to come to grips with evidence that God Himself has generously given us? If you want to see a contemporary response to the Synoptic Problem that takes seriously the evidence of the fathers, with fresh translations from the Greek and Latin, I might point you toWhy Four Gospels? In writing it, I owed a great deal to Dom Bernard Orchard, whose views I merely tried to summarize. It is a simple book in which we have tried to paint the main features of the landscape with a broad brush. If you like it, great. If you don't, tell me why. 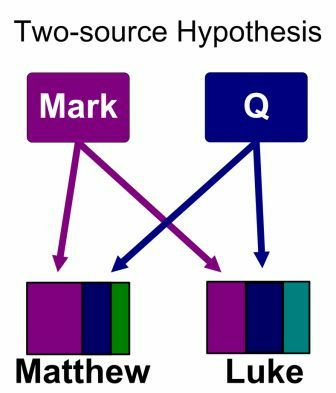 I hope to revise it next year, adding a chapter addressing the reaction to what we call the "Fourfold Gospel Hypothesis." 2:45 PM I just LOVE Becky's paraphrase of Jesus' Great Commission: "Take the message I've given you to every person in the world. Teach them to follow Me." You can read that, and much more, at the Bethel Hill blog, which Becky just updated. Die Zeit Online is reporting today about the lack of priests in the Catholic Church in Germany. More than half of parish posts have yet to be filled. There is, of course, no hint among the earliest records that the early church recognized "priests" as a special class within the church. Not to put too fine an edge on it, the early church was a highly participatory body devoted to every-member ministry. This, of course, is the exception rather than the rule today, even in our Protestant churches. If we are to see a widespread explosion of participation by church members there has to be a revolution in our thinking about the priesthood. 11:44 AM Mark Goodacre continues his excelling blogging on the Synoptic Problem. 11:41 AM Despite his cheerful appearance, Dr. Jim appears to be getting very worried. And well he should. Attack lambs of the world, unite! Learning Greek has been like going jogging for me. When I started taking Greek back in January, I weighed 256 lbs and couldn't run 30 feet or climb a flight of stairs without having a mild heart attack. 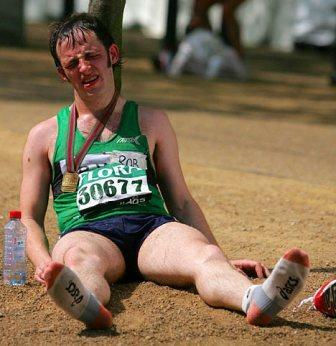 I did not like to run because I could not run. Now that I'm 199 lbs and can lick two, three, or four miles and recover in just five or six minutes, I really enjoy running. In fact, I bought new running shoes last night that will only be used for running -- and I've already put two miles on them this morning! So it is with Greek -- now that I know just a smidgen, I'm eager to learn more, and studying is not near the drudgery that it once was. Once I could jog a little, I wanted to jog more. Once I learned a little Greek, though difficult at first, it is much easier and more enjoyable to learn new material. Great analogy. Greek, though, is more like a marathon. Students who got A's in their classes no longer can read a single sentence of the language. How sad. I pray it doesn't happen to you. The key? Stay in the text. Read a little bit every day. You'd be surprised at what you will see in even "familiar" passages. May God help us all to be faithful to use what we've worked so hard to acquire by His grace! Will you stay in the race or drop out? 11:12 AM It's official now. Iran is a phantasmagoria of evil, the central player in the world's struggle between civilization and chaos. The American public must not, under any circumstances, ask why. Of course, the "discovery" at Qom is just the incendiary pretext needed to settle old scores and forge an American Empire in the Middle East. Maybe somebody should point out the fallaciousness of such thinking. Oh wait -- somebody already has. 11:08 AM It's a gloomy, drizzly day in southern Virginia. Still, I think Becky's garden looks beautiful. Wouldn't you agree? 9:36 AM No word from Oshe yet. I'm praying fervently. 9:30 AM New Testament Greek students! Check out this list of Greek resources at Brian Fulthorp's blog. Of course, there's no point in accumulating resources unless you actually use them. 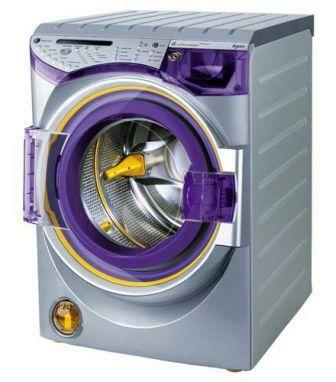 It is obvious that this can lead to some confusion, but little else can be done other than being aware of this issue. P.S. When I was studying in Basel, Becky and I lived in a tiny one-room apartment on what the Swiss called the parterre. You might call it a cross between the basement and the ground floor. Of course, no Swiss would ever be caught living in such humble circumstances, so most of the time the parterre was rented out to foreigners. The stigma associated with our dwelling place never bothered us. We were happy just to be in Basel. 8:34 AM I've just published an essay on the Lord's Supper. It's called A First Small Step. Is your church ready to take it? 8:06 AM Are two "new covenants" in view in Hebrews 7-10? You can get Rod Decker's take here (.pdf). Paul and Barnabas appointed elders in every church. With prayer and fasting, they turned the elders over to the care of the Lord, in whom they had put their trust. Presumably Paul felt that the young churches in Asia which he had planted only a few weeks earlier could stand on their own, apart from his presence and leadership. In my mind, there's something that doesn't compute about appointing men as leaders who had been Christians for less than 3 or 4 months. Could it be that Paul believed in the power of the Holy Spirit? Could it be that he saw in these men a maturity that the people could not help but respect? Ronald Reagan had no foreign-policy experience when he became president, yet he had more than a little to do with ending the Cold War. Likewise, Paul took an extraordinary step when he refused to settle down as his convert's "pastor." The fact is that they already had a "Senior Pastor," and their elders could rely upon Him for direction. In a week I'll be sending my Greek students home with their first exam. When they return to class they will grade their own exams. Are they trustworthy? "The only way to make a man trustworthy is to trust him." 10:06 PM I had a craving for pancakes this evening. So Becky and I had some. It was a joint effort. Becky located the batter (hey, I just live here), and I cooked. Afterwards we sat around doing this and that, our faithful furry friends keeping us company. With Nate and Jess out of town we're keeping Sheppie, who in this photo appears as snug as a bug in a rug. Thus another day at Rosewood comes to an end. Sleep tight everyone. 8:23 PM Just heard from Nate. He and Jessie attended a funeral at Arlington National Cemetery today, then drove to her mom and dad's home in Maryland. They've arrived safety and everyone is doting on Nolan, something I never do, of course. We always miss the Blacks when they're traveling. Have a great time you guys, and try not to miss us too much. 7:06 PM This weekend I'm reading a great book in German. 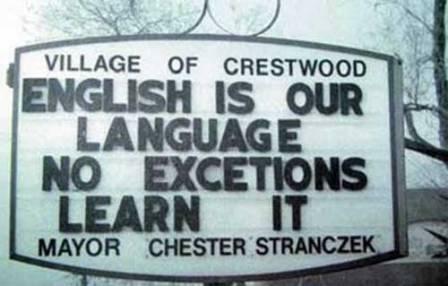 It's called Englisch für Fortgeschrittene (English for the Advanced). What a superb way to learn a foreign language -- study it backwards! I do something similar with my Greek students. Each quiz and exam I offer has an extra credit section that requires English-Greek translation. I am convinced that the ability to exegete the New Testament in Greek is dependent upon our ability to read, and to a degree to think, in the language. 6:28 PM American Christians continue to espouse the orthodoxy of freedom and justice for all even as we breathe fire and brimstone against Muslims who want to pray at the nation's capitol. We are getting good at holding opposing ideas. It was F. Scott Fitzgerald who said that the "test of a first-rate intelligence is the ability to hold two opposite ideas in mind at the same time and still retain the ability to function." Cozy up to Lady Liberty while slamming Islam. What first-rate minds we have. Might I suggest that God doesn't ask us to back an unbeliever into a corner to mash him or her with our mental machinery? He's not asking us to back up our Gospel dump trucks and pull the lever. There are any number of things we can do to get people to Calvary, but, last time I looked, name calling and protests weren't included. As followers of Christ, we must never forget that Jesus came into the world to inaugurate the kingdom of God. In this kingdom, national and tribal allegiances are unimportant. They are superseded by our loyalty to our Commander-in-Chief. If, by a miracle, unity ever became a "first order" category in our Bible-believing, evangelical churches, evangelism might become our one overmastering passion. I am told that as a Baptist I must fight for Baptist distinctives. Some would go further. They would say that I am not to eat the Lord's Supper with those who hold to "wrong doctrine" -- pedobaptism, for example. How avidly we cling to our distinctives! But our supreme aim can NEVER be to exalt our own regiment. The Commander asks us to follow Him. And if we make that our aim, surely we will realize that the things that unite us in the kingdom are much more important than the things that divide us. In a word, evangelicals are to be a people who are united for the Gospel. The kingdom of God transcends every manmade barrier we can erect -- race, education, gender, color, background, nationality. Think of the leadership of the church in Antioch (Acts 13:1). They had a Cypriot (Barnabas), a dark-skinned man (Simeon "the black"), a North African (Lucius from Cyrene), an aristocrat (Manaen, a member of the Herodian family), and a Jew (Saul of Tarsus). What made their joint leadership possible? I dare say that the "fellowship of the Spirit" (Phil. 2:1) was more important to them than their obvious differences. That humble attitude paid handsomely. The congregation at Antioch became a missionary sending church, as every local church should be. I believe that most churches today could do a great deal more to encourage this outlook. We can hold city-wide meetings with other congregations, or we can combine services with the church next door, or we can come together for prayer meetings. Perhaps this would help us catch a glimpse of the true catholicity of the church. It is necessary to emphasize that we must depend completely on the Holy Spirit if we are to achieve such unity. The Spirit was given to us, not to make us comfortable, but to make us missionaries. It was the Spirit who drove Paul and the other early missionaries to "struggle together in one soul for the faith of the Gospel" (Phil. 1:28). It is He who dismantles our pride and enables the lovely fruit of the Spirit to take root in our lives. This, I believe, is what Jesus prayed for in John 17 -- a church whose fellowship was real and vibrant, and a church devoted to evangelism. I am also privileged to preach to many reenactors during our period worship services on Sunday mornings. The reenacting community is a largely unreached mission field, full of people who are seeking peace of mind and forgiveness of sin. What a joy to be able to tell them about the Savior. 2:14 PM Thankful that Becky continues to do well today. None of evil's ramifications change ultimate reality, of course. God is not just "out there." "He is," as Francis Schaeffer used to put it, "there, and He has spoken." He has entered our pain and suffering. He understands. This has become my perspective on life. I believe we cannot make the world our focus. And we dare not, as Christians, be bound by prejudices based on nationalism. The temptation to political activism, thinking we can "reclaim America," is almost irresistible today. The church is in constant danger of degenerating into a political action group. Alas, many Christians cannot see this. 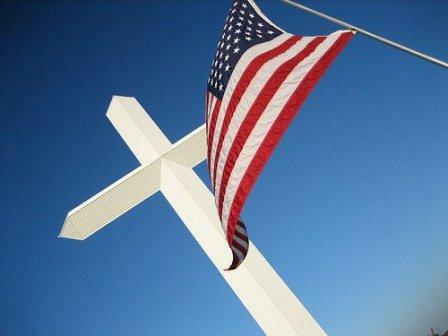 I am assaulted daily with emails from evangelical organizations whose one purpose is to defend "Christian America." But our allegiance can never be to any manmade cause, and never to an earthly kingdom. This may sound trite, but it isn't. 10:58 AM One of the greatest challenges we face in Ethiopia has to do with leadership training. 1) Most of the "ministry" in Ethiopia is done by ordained clergy who are seminary trained and are paid for their ministry. Often the people perceive them to be the ministers of the church. Becky and I are committed to involving more of the Body in ministry. And we are training the leaders of the local churches to do their best to equip others (2 Tim. 2:2). 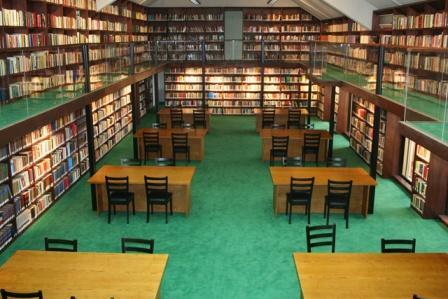 2) The resident seminaries in Ethiopia are usually geared to training academically superior leaders who are required to dislocate themselves from their homes and communities for at least 3 years. This model of education, as I have often said, is beset with 3 problems: extraction, expense, and elitism. Extracting leaders from their communities is very expensive and often leads to a sense of elitism among the graduates. We prefer to train leaders in their home environments. We do not believe that servants-in-training need to be uprooted from their homes. Nor do we believe that theological education need involve formal schooling; indeed, traditional theological education is, we are sadly discovering, often a disadvantage. 3) We believe that the best leadership development occurs in local churches. Students should be living in their homes, serving in their churches, and active in their communities as they exercise teaching, preaching, administrative, and evangelistic functions. Again, our experience has shown that when we extract students from their culture, many of them are unwilling or unable to return to the towns from which they came. 4) What should be the curriculum of leadership training? We believe that the best textbook is the Bible itself. Hence the scholar-teachers who come with us to Ethiopia do verse-by-verse exposition of a book of the Bible with a constant focus on practical ministry. I suppose our convictions might be summarized as follows. All believers are called to be ministers in building the kingdom of God. Spiritual leaders have the responsibility to equip all members of the Body to serve. Theological education is best accomplished on site rather than in faraway seminaries. Theological education finds its fulfillment within the framework of the local church. The proper end of all theological training is ministry, not degrees or ordination. The aim of teaching is not to impart knowledge but to produce obedient disciples. If a man is seminary-trained but not living in a manner that is obedient to the commands of the Lord Jesus, he is not qualified to lead. Below: Kevin Brown of Mount Pleasant Baptist Church in North Wilkesboro, NC, teaching the book of Ephesians to church elders in Alaba. 10:32 AM "I believe that elders demonstrate their maturity and Christlikeness most when they are not seen and not heard but are instead serving in obscurity by leading, teaching, shepherding, and overseeing in ways that demonstrate the humility and gentleness of the Spirit of Christ." Alan Knox. 9:55 AM Becky's series on her cancer journey continues with an essay called Pain. 9:52 AM Good news. 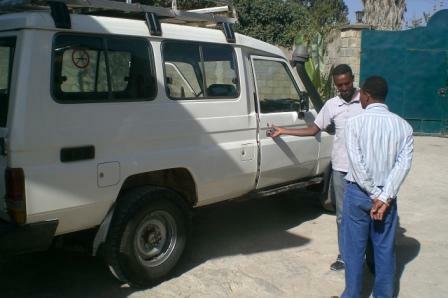 Oshe and Daniel have arrived in Addis and are now looking at the vehicle. Is this the right one for the Galana clinic? The Lord knows. 9:43 AM What a relief. Our president strides rather than struts onto the stage of history. Say what you will about Mr. Obama, the man exudes quiet confidence. 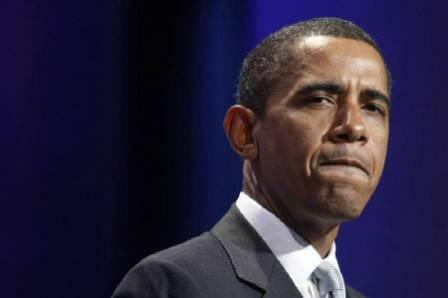 W. had a swagger, but O. is more like Reagan, a master at reassuring the American people that all will be well in the end. I'm thankful for a statesman who, well, acts statesmanlike. I'm a reluctant fan of the president -- policy issues aside, of course. But I'm willing to give credit where credit is due. The man has a feel for capturing the fears and hopes of the American public. That's why, for me, it's tragic beyond words that Mr. Obama doesn't seem to realize that we can't achieve security in Afghanistan even if we beef up our forces there. On the other hand, here is a president who was bold enough to address head-on the blame-America-first attitude that prevails in the UN. Like him or not, whether he is right or wrong, at least we can be thankful that the president's not cocky. We do not know if Jesus in fact held a "last supper" with his disciples at which elements of the meal (bread and wine) were invested with special significance. The stories of the last supper in the gospels may be the product of the early communities' embryonic ritualization of the meal tradition rather than a historical recollection of the last night of Jesus' life. There seems, in this instance, no way of moving beyond "not knowing." What do you think? Can we move beyond "not knowing"? Jesus predicted His own resurrection. Did it take place? The evidence is overwhelming that it did. Read Morison's Who Moved the Stone? or Anderson's The Evidence for the Resurrection or Ramsey's The Resurrection of Christfor thoughtful responses to the scholars' skepticism. We are told by some that true Christianity is unrecoverable from the extant documents. This charge merits careful attention. But I have no intention of sacrificing my intellect on the altar of agnosticism. 9:22 AM Question for you, dear readers. Why do those who talk so long and loud in favor of servant leadership have so little to say about shared leadership? Why does one man dominate the pulpit in most of our churches? Why, in fact, are there pulpits in the first place? The Brethren of yesteryear found it more conducive for spiritual growth to have simple buildings with no elevated platforms, no pulpits, and no protestant priests. 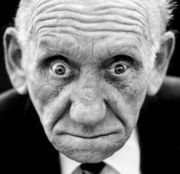 I know of no church law that would prevent the eldership from working properly together and ensuring that every "apt-to-teach" elder has an opportunity to instruct the congregation. I know that this will go against the weight of tradition, but just think of the benefits. No longer will your congregation be known as "Pastor _______'s church." And no longer will there be the one-man isolated "minister." Why shouldn't we form leadership teams within our churches that rotate the ministry of teaching? 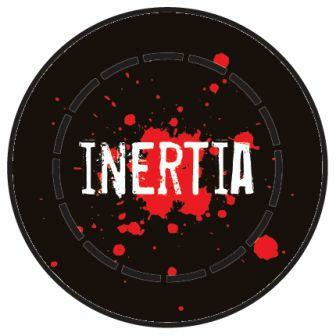 I know of no other reason than inertia. 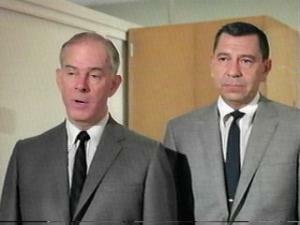 9:49 PM Do you remember the theme from Dragnet? Duh-da-da-duh. Duh-da-da-duh-duuuuuh! Well, it seems that I'm going to be arrested in a few minutes. The charge? Kidnapping. I took Becky out to our local Chinese restaurant this evening. I escorted her out our front door, to the car, and all the way to the town of Clarksville. Right now she is completely free of pain, and her stamina has greatly improved. I'm super glad. When I asked her what she wanted me to cook for supper tonight, she said, "Do you think we could go out for dinner?" Music to my ears. So coppers -- stay away. The kidnappee flew the coop of her own free will. Tonight I'm feeling like the Lord has blessed me so much I don't what to be thankful for. All I can think of saying is, "Thank you, God." Becky's ambulatory, her pain has subsided, and she is up and about. 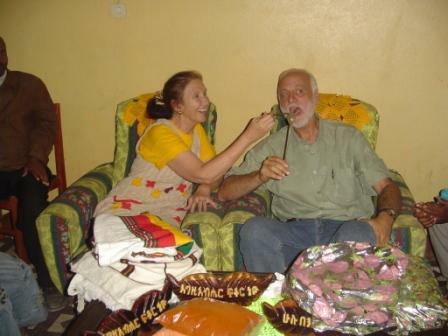 But she remains in a high risk period until her next chemo, so we're trying to be careful with her activities. But on the whole -- BECKY IS A NEW PERSON TONIGHT. Thank you all again for the generous outpouring of love and prayers. I am very grateful. 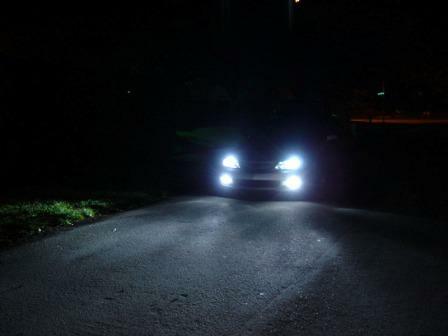 You can only see as far as your own headlights, but you can make the whole trip that way. 2:23 PM Had my annual physical today. Doc says I'm as fit as a fiddle. I decided to get the flu shot in light of all the illness on campus. I can't afford to get sick with Becky being so susceptible to viruses. 7:36 AM Here's an idea whose time has most certainly come: holding Greek class at Starbucks. 7:32 AM Newsflash! Multitaskers are lousy at just about everything they do. Here's the scoop. 7:25 AM Did Texas execute an innocent man? Read Trial by Fire. Having been a volunteer fire fighter for 4 years, I found this story quite disturbing. 7:21 AM Three great reasons for writers to blog. When are you going to start? 7:15 AM Dallas now boasts a German International School. I think the Big D must haveeverything. 7:12 AM The best books on Barth. To state the obvious: I'm an avid reader of Barth (usually in German) because I love his exegesis of specific texts, not because I always agree with him. 7:08 AM I am interested in the response to General McChrystal's advice to the president. One essay that grabbed my attention came from AlterNet. It's called Why President Obama Can't Let Himself Be Blackmailed by His Generals. It seems clear that the generals are eager to begin striking targets in Pakistan with more than just drones. But wars are messy businesses, and we need another invasion and occupation like we need a hole in the head. 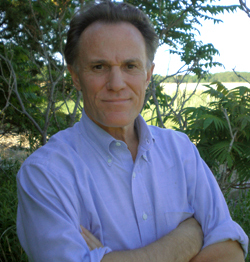 7:00 AM In the past few years Frank Schaeffer, son of the late apologist Francis Schaeffer, has spent a great deal of time and effort trying to discredit the religious right, a movement in which he was raised. Schaeffer's diagnosis, however, looks feeble when he says that the answer is to bypass the "lunatic fringe" and get on with life, as he does in this interview with Rachel Maddow. Schaeffer spends a great deal of time talking about the right's ties to fundamentalism and its obsession with the Last Days – surely an almost perfect illustration of the genetic fallacy. Incidentally, I happen to be a dispensationalist when it comes to eschatology, but I am nevertheless united with people like Frank in their dissatisfaction with traditional applications of this doctrine. However, evangelicalism cannot be separated from its other aspect – faith in Jesus Christ as the point of rupture with all other religions, including the religion of liberalism. This has been made abundantly clear by Ellul and Eller in their writings about Christian anarchy. If you wish to dismantle evangelicalism I suppose you eventually will have to abandon its view of Scripture and its emphasis upon substitutionary atonement. 8:57 PM Almost forgot: A huge "Kamsahamnida" and "Ευχαριστώ!" to my grader (who is from Korea) for bringing me sushi and kimchi for lunch today. What a thoughtful surprise! 8:46 PM Grateful to Allan Bevere for taking time to review The Jesus Paradigm. 8:32 PM Appreciate Joel and Kimberly for bringing Becky some bananas and peaches. She loves fresh fruit! 8:25 PM Prayer alert! We may have found a vehicle for the Galana clinic. Two elders from Soyama are on their way to Addis to check it out tomorrow. It is similar to the one we purchased for the church in Alaba several years ago (photo). If it meets our criteria, then the clinic will have its very own ambulance. Please pray for brothers Oshe and Daniel, that the Lord will grant them a special measure of spiritual wisdom in the days ahead. 8:16 PM In theology class today we talked about Galatians and the law. Robert Cole did a fantastic job as our guest lecturer (thanks, Bob!). How do we keep God's law? The only solution is to abandon ourselves to His adequacy, submit ourselves to His program, and trust Him implicitly for enablement. The Spirit of Almighty God is our only hope, and we must willingly submit to His agenda, thanking Him ahead of time for His enabling grace. Without God-enabled obedience we will never penetrate the non-Christian world with Christ's love. Living a life of scandalous cross-love is a far better alternative than neurotic Christian activism, which is often merely an escape mechanism that makes us feel "powerful" when we are not. Need I add that we are not called to spout off about the Gospel from a respectful distance and then leave, all the while looking down on the very people we're ostensibly seeking to win? If we are to serve Christ in the power of the Holy Spirit, we must leave behind our power ties and bank rolls, otherwise we will remain detached from the unsaved or lord it over them. 7:55 PM Had a great supper with Bec. She requested chicken and mashed potatoes, with a side salad. My cooking actually turned out to be not too bad tonight. Right now she's asleep. I'm praying she has a good night's rest. 6:45 PM Greetings, bloggers and bloggerettes! I just got back from campus. Here's what's on my mind. I don't propose to claim that I'm doing all of things perfectly. Hardly. But I believe with all my heart that it's about attitude. The ball is in our court. Do we trust God? Are we willing to give ourselves over to Him in every department of our lives? That is the very heart of the Christian life. As time goes on I'm sure I'll get better at handling this situation. Becky and I have had too many years together to doubt the reality of our love for each other or the strength of our relationship. 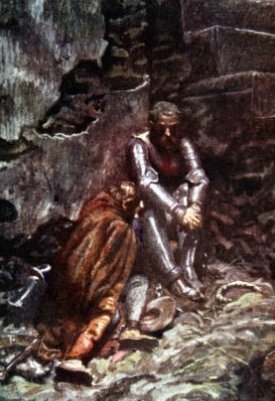 Do you remember Pilgrim's Progress and how Christian had strayed off the King's Highway and got himself imprisoned by Giant Despair in Doubting Castle? He was about to give up all hope of ever getting out when he remembered that he had on him the key that would open the lock, the key called "Promise." Hold fast to the promises of God! 10:06 PM So very thankful for an excellent Greek class tonight and that Becky is doing well, even though she is barely ambulatory and must use a wheel chair to navigate around the house. Thankful also that Nate and Jess live on our farm and are eager to help us. I could not manage the situation without their assistance. Right now I anticipate going into campus tomorrow, so if you don't hear from me before Wednesday evening you'll know why. I still use Front Page and am unable to upload to my website from a computer other than what I have at home. Please know that Becky and I love you sincerely and deeply appreciate all of your care and your prayers. I could not make it through a single day without Jesus. 5:50 PM Becky seems to be doing better. I'm going to go ahead and tutor German and teach Greek tonight, but I will have the cell phone with me just in case. Man do I love that woman. 3:20 PM It just struck me: A feature that was notably absent from Professor Cox's interview was mention of the Holy Spirit. He properly called into question our over-reliance on traditional interpretations of Scripture, our addiction to unbreakable "rules," our need to be thinking men and women. All fine and good. But it seems to me that when the New Testament calls on us to live out our Christian lives, it always emphasizes the indispensable role of the Spirit of Jesus, who enables us to work out our allegiance to Christ in the complexities of modern life. This leads me to add that, in the New Testament ethic, we are not called to obey an external code but to please a Person. Thank goodness, this emphasis is not lost in our universities today. I know of many brilliant university students, followers of Jesus all, who daily depend on the Holy Spirit of God. It is He who first helps us to want to follow the Lord in obedience, and it is He who makes that possible. Praise God for this cadre of believing students! 3:04 PM Just engaged in one of my favorite avocations -- walking the dogs. 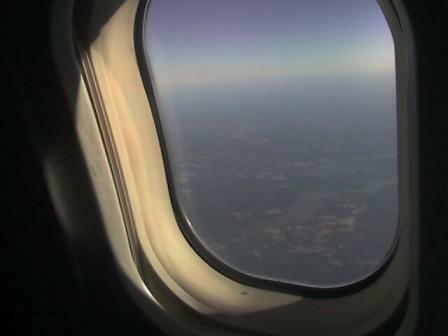 We checked the mail and I admired the contrails at 30,000 feet. Somewhere in the stratosphere life goes on as usual. Or does it? I wonder how many tales of woe or intrigue could be told by the passengers now looking down upon my farm? 2:14 PM Wheaton College is seeking to fill the Arthur F. Holmes Chair in Faith and Learning. As an aside: I read Holmes' The Idea of a Christian College -- a penetrating critique of modernism -- during my first year of teaching at Biola in 1976, just after it had been published. I hope this book still finds its way into the hands of students and teachers. 1:54 PM "The whole aim of practical politics is to keep the populace alarmed -- and hence clamorous to be led to safety -- by menacing it with an endless series of hobgoblins, all of them imaginary." H. L. Mencken. 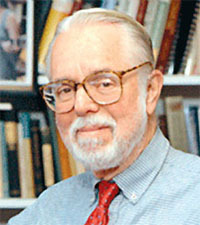 1:12 PM The Diane Rehm Show today featured an interview with Harvey Cox, who recently retired from Harvard. He charges evangelical Christianity with being right-wing, pro-Republican, and doctrinaristic. There is, of course, some truth to his charge. I found the interview quite enlightening, especially to hear his and the listeners' comments about evangelicalism. It is perhaps one of the greatest ironies of history that the vagaries of Orthodoxy should have laid the foundation for the subjective "spiritualism" espoused by the likes of Professor Cox. By the way, of the many examples he used to prove conservatism wrong, I thought the most interesting was his claim that pederasty (and not homosexuality) is in view in Paul's list of sins. Mark Goodacre made a similar claim in his recent online office hours. Most colleagues of mine would argue to the contrary, correctly so in my view. Still, the points that Cox makes about the disease of "religion" are well taken. And he is dead on when he argues that interest in spirituality is on the rise in America. Is Christ the radical still the solution? I certainly believe that He is, and indeed it is my conviction that the Christian faith is the very antithesis of "religion." Our mollycoddled society, as much as it may claim to long for spiritual reality, has failed to confront the radical claims of Jesus, and therein lies our problem. 1:02 PM A friendly reminder to my Bethel Hill Greek students: The 4-hour rule is still in effect. If you haven't put in at least 4 hours of study this past week, you are free to skip class tonight. How's that for putting it positively? 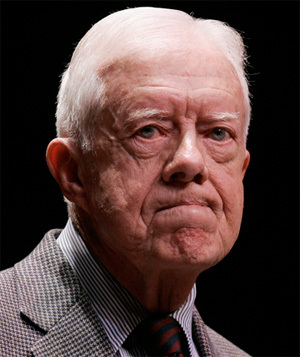 8:46 AM There is something bizarre about watching the attacks on Jimmy Carter. Surround him, throw Lilliputian nets on him, do anything to muzzle Carter, we cry. The name of the game is character assassination. The bossy "Republican is good, Democrat is bad" doctrine was cooked up during the Reagan years. For an illusion, it's remarkably persistent. 8:06 AM Want to study abroad? Here's an opening in Iraq. 7:48 AM Josh, my advice is no. 7:23 AM It's always good to rejoice with those who rejoice, and I share my colleague Alvin Reid's enthusiasm over the release of his latest book on October 1. It's called Evangelism Handbook: Biblical, Spiritual, Intentional, Missional. I couldn't be more excited for you, Alvin. 7:02 AM Yesterday I took Becky to the UNC Emergency Room. It took them 6 hours to get her pain under control. Thankfully she passed a restful night under heavy sedation. The fact is, I can't control what's going on. And that means trusting God and taking one day at a time. My goal is to be as totally trustworthy to Becky as I possibly can be. She has a very nasty disease, but her treatment is proving to be just as nasty. At the same time, there's so much good, God stuff going on. Just having good medical care is a huge blessing. Being at the ER yesterday made me realize again how grateful I need to be for pain medication. When asked to rate her discomfort on a scale of 1 to 10, she replied, "It's a 12." That's exactly how I felt when Becky brought me to this same ER with my malaria. Job had to grin and bear it. At least we have morphine. Paul said, "For though our bodies are dying, our inner strength in the Lord is growing every day." What a splendid and responsible approach to the problem of suffering! The cross reminds us that God is no stranger to pain. Like a father agonizing over a sick child, He suffers in and with all the suffering of humanity. And there's another plus. God uses pain to develop our character. This is precisely what He is doing right now in my prayer life. I have never prayed harder or more frequently. Suffering has reminded me that trusting Christ lies at the heart of the Christian faith. When Jesus rose triumphantly from that cold tomb, He had me and Becky in mind. And He remembers us still. 9:32 AM I must leave for church. Becky insists that I go without her. Jessie will stay with her. I'm asking everyone who reads this blog to offer a prayer for her. She feels as if she's been run over by a truck. Indeed she has. Some say the first week after chemo is the hardest. Others say the second. I can't imagine it getting any harder than this. May God show His great mercy toward us. Surely, we are not waiting upon the Lord in vain. 9:12 AM I will be presenting the work in Ethiopia by myself this morning. Becky is simply not strong enough to go anywhere or do anything. I will do my best in her absence. My message will be this: To follow Jesus is costly. It will demand involvement and sacrifice. Our trips to Ethiopia are not vacations. All we can offer, as with Garibaldi and Churchill, is blood, sweat, and tears. It is worth reflecting that many Christians have never arrived at this point of commitment. For them Christianity is a faith to be admired or else merely a subject to be studied objectively and historically -- nothing more. I met many such people during my studies in Basel, Switzerland. 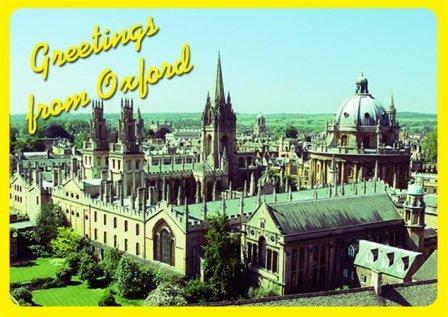 Many of the theology students there had come from the most prestigious American universities. For them the New Testament was nothing more than an analyzable datum of linguistic and historical investigation. For all their audacious ideas, they had no courage to follow the teachings of the One they claimed to have studied so thoroughly. What is true of university students is no less true of the modern church-goer. It really boils down to courage. Do we have the guts to give ourselves to something as costly as genuine Christianity? For discipleship is often dangerous. It can mean ostracism and possibly even severe persecution. It is easier to avoid such risks by sitting in the ranks of the "scholars" than to have the moral courage to to do anything different from the crowd. The Ethiopian believers rejoice in their sufferings for Christ. Such is the toughness of their faith. We say, "For me to live is me." They say, "For me to live is Christ and to die is gain." They say, "Lord, you're sovereign. Our safety and protection is in you. If you choose to glorify yourself through our death, praise God -- for me to die is gain. If you choose to deliver us from death, praise God -- for me to live is Christ." Their courage, their biblical realism, stands as a scathing condemnation of anyone who claims to know the historical Jesus yet who refuses to obey His truth claims. It is much easier, must more comfortable, to simply run away. Friend, you can run but you cannot hide. The Jesus you so "objectively" study and teach and write books about will not be mocked. Whatever escape route from Jesus you choose, it will not work. The God of truth, the God you are seeking to avoid, will not allow you to live a lie forever. One day all of our falsehoods will be stripped away, mine as well as yours, and we will stand naked before this Jesus who will either be our Savior or our Judge. And so with Pilate I ask, "What will you do with Jesus?" Do you know Him or just know about Him? You will never know Him until you yield, not just your mind, but your will to Him. I pray that you will do so today. 8:11 AM "Solutions." 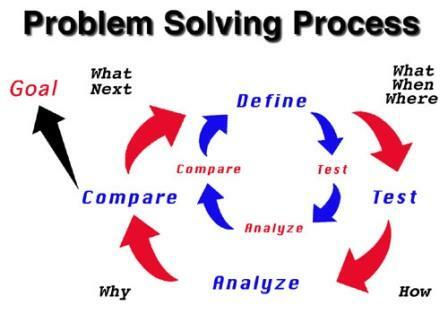 It is a human tendency to look for solutions everywhere for our problems. But all too often the solutions are themselves the problem. Every one of us believes we have the secret of a just society, or the solution to the health care crisis. At times we even end up wanting to force our solutions on people -- insisting, for instance, that parents home educate their children or that their daughters wear only dresses. 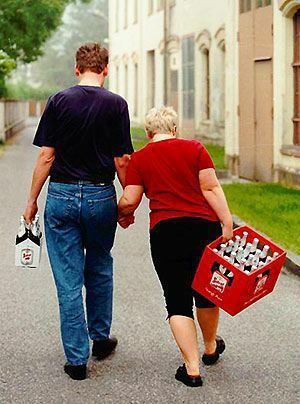 Of course, we know better than other parents how to raise their kids! Believing that Mr. Obama has the "solutions" to our problems is one of the main reasons he's in the White House today instead of his Republican opponent. But I doubt that society will be any better off because Mr. Obama is president. The lust after solutions is a fatal disease. Once a president has the "solution" to a problem it is only a matter of time before the same problem is reincarnated in another form. Even Christians behave as if the God whom they claim to know and revere has no solutions outside of their own dogmas and platforms. The enormous institutional machinery of our denominations bears eloquent witness to that fact. It is salutary to remember that the earliest Christians had no use for manmade "solutions" or canned programs. The center of their vision for societal renewal was Jesus Christ. He was the risen Lord. They realized that His kingdom was not of this world. How wise they were! Far from becoming the new political zealots of their day, they penetrated society with the life-changing message that had burned into their souls. That message so gripped the Barnabases and Phillips and Pauls among them that they were consumed with passion to spread it far and wide. Such was the allegiance to Jesus that they seemed to have. They have shown us the way. 8:07 AM Remember your first jump off the high dive? 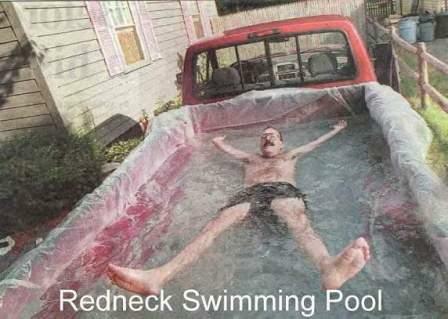 Then you'll be able to identify with Mr. Bean goes to the swimming pool. But be forewarned: It's side-splitting. What's even more dangerous is that once we have made that "concept idol" we become less and less capable of hearing the very proper challenges to our idol and the pedestal on which we have placed it. We hear the challenges to the idols of others. Egalitarians, such as myself, can quite clearly see the dangers of patriarchy and hear clearly when its place on the pedestal is challenged. "Tear down that idol!" we shout! But have we made our own idols? Too often we have. Which is one reason I'm no longer a cheerleader for home education. Or elder-led congregationalism. Yes, I hold to these positions, and I espouse them from time to time, sometimes strongly. But I don't consider it my job to become a fulltime apologist for anything other than the Gospel of our Lord and Savior Yeshua ha-Mashiach. If anyone tells you that something trumps Jesus, you can bet the farm that he or she is self-deceiving and even self-defeating. 7:28 PM I continue to be grateful for your prayers for my wife. Becky has had a rough day. Will tomorrow be more of the same? We pray not but leave that in His hands. I cooked her some Chinese food for supper (her request), and we are trying to carry on as normally as possible. 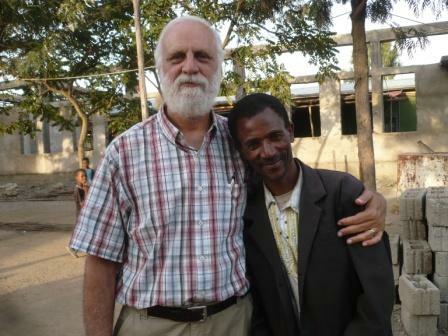 God willing we will both be at The Hill tomorrow morning to give an Ethiopia update during the morning service. We are ready to speak of Jesus wherever and whenever the Lord might open the door. In the meantime God continues to bless and encourage us by your loving prayers and emails. 5:20 PM I see that the next meeting of the Society for New Testament Studies will be in Berlin, a city I have never visited. I'll have to give attending some prayerful thought. 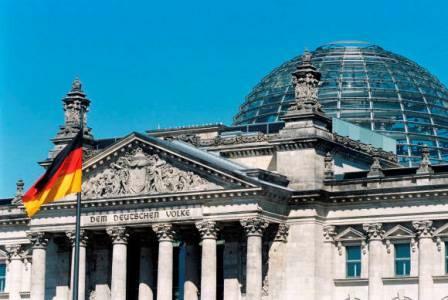 I'd really like to see the Marienkirche, the Reichstag (photo), and the Brandenburg Gate. I already have a piece of The Wall. Becky & Dave, we lifted your names to our Heavenly Father tonight. We will continue to pray for you both as you go through this trial! We love you. "For this reason, since the day we heard about you, we have not stopped praying for you" (Colossians 1:9a, NIV). Although our trials this year have perhaps been more than during any previous year, and although we have often been reduced to weakness and pain, we have lacked nothing. I am sure it is because of the prayers of God's people. Oh the beauty of the Body of Christ! Oh how awful not to know the Lord Jesus personally! 3:40 PM To jump into the blogging fray for a moment. I encourage all of my doctoral students to blog. And several of them do. But I also tell them that the least important thing they will ever write is their doctoral dissertation, let alone a blog post of theirs. At best, a dissertation is just the first publication in what should become a lifetime of scholarship. My blogging hasn't kept me from writing books, nor should it. Nor do I list my blog or my web essays on my CV. 2:26 PM Just watched Mark Goodacre's "office hours" over at the Duke website. Even T. C. atNew Leaven got a question in! I'm ashamed to say that I have never met Mark in person even though we teach at neighboring institutions and he's just pocos minutos away. I see that my esteemed colleague is just as opinionated as I am about the issues raised in the discussion. It will also become obvious to any viewer that Duke is not SEBTS, which is not, of course, a bad thing. At any rate, well done, Mark. My favorite quote of yours: "I think the most important thing to do is not just to read the New Testament. New Testament scholars actually spend far more time reading texts that aren't in the New Testament, and reading lots of things to get the historical context right. You have to read widely in ancient literature...."
1:10 PM It's happened again! I got yet another email addressing me as "brother." 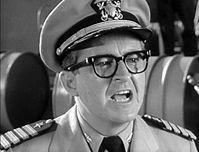 Not since Captain Binghamton ordered the crew of PT-73 to jump off a dock have I been so surprised. 12:30 PM NPR's Scott Simon had an excellent interview today with Byron Dorgan, Democratic Senator from North Dakota. Sen. Dorgan seems a wily expert in the politics of the bazaar. Most enjoyable was the tone of civility between Simon and his interviewee. I heard the interview while driving to South Boston ("our fair city") to get Becky some gauze masks to wear in public. Tomorrow we'll be in a very public place (at church), and I'm asking those who are fighting colds or who have come into contact with anyone who is to please consider keeping a little distance from her. One of the gravest risks Becky faces during her treatments is that of infection. I know this will be very difficult to do -- Becky is oh so huggable! But when it comes to art that has swayed power brokers instead of voters, the free-market fundamentalism of Ayn Rand tilts the balance rightward. 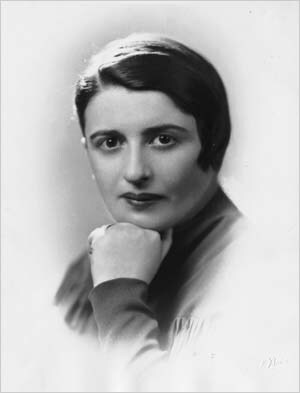 The mention of Ayn (think "wine") Rand conjures up a recent memory. When Becky and I celebrated our anniversary at the famous Berry Hill plantation (see below), we were reminded that the property had recently been owned and operated by a brand new school ("Founders College") that promoted the objectivism of one Ayn Rand. Embarrassingly, the school went belly up after only a year of operation (12 students originally enrolled, two of them online, and 7 of them had dropped out by the end of the first semester). At a moment when Americans were hungry for more government spending and financial assistance from Big Brother, I guess students were convinced that free-market fundamentalism was simply a smoky illusion. I remember all the hooplala when the college was established, living as I do only about 20 minutes away. The county fathers thought it would save the local economy. But the college had trouble attracting faculty, let alone students. One problem: Teachers were on short term contracts, and word had it that renewal depended on student evaluations. Lousy profs would be gone before they knew it. Personally I thought this sort of consumerism was a good idea. All too many "teachers" can do everything but teach. I imagine the administration thought it could exorcise all the ghosts of the sixties and seventies and the gross evils of tenure. They turned out to be wrong. 9:17 AM In a poignant echo of the Sermon on the Hillside, Jonathan Wilson-Hartgrove, who lives with his family at Rutba House in Durham, wonders if Christians should have analternative investment plan to what the world offers. His manner is modest, but his ideas are confrontational. At least they are to this middle-class Christian. It would be awful to arrive at The Seat and be told I wasted my money on ephemeral things. 9:03 AM A big "congratulations" to Alan Knox. 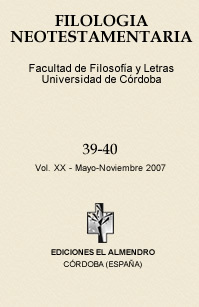 His paper on 1 Corinthians has just been accepted by the editors of Filología Neotestamentaria. That is a tremendous accomplishment for a doctoral student. Why not let brother Alan know how pleased you are? And if you are a doctoral student, why not send your best work to one of the journals? The worst they can do is say no. 8:44 AM Must the TV be ubiquitous? It's in every room in the hospital. It's in every restaurant. In the Red Robin we visited it's even in the men's room. I'm not well suited to being a polemicist, but I'm about to get mal de mer over this TV business. 8:44 AM Dr. Jim is ahead again, way ahead. That's good for biblioblogging. Jim is more dazzling, wise, and witty than his competitors. Here's hoping that some of his effervescence will rub off on the rest of us mortals. 8:34 AM Our adventurism in the Middle East continues, without perhaps the noir and bullying tone of the Bush years. But continue it does. Clinton says that time is running out for Iran, even as a new report shows that the country is nuke free. Gordon Prather seems visibly relieved in his essay Why No Dancing in the Streets? Of course, we reply "Americans can never back down!" We forget that this is just what Reagan did when he pulled out of Lebanon. We also forget that he won the Cold War without firing a shot. I don't mind us championing freedom. But must we do so at the point of a bayonet? 8:13 AM Another word for "church"? 8:07 AM An "off-campus" student of mine sent me an interesting email. I hope I can ask you some questions even though I am only your student through your text books. The first of these questions concerns the use of bible software. Do you think that a program like gramcord is worth the money spent on it for inductive learning, such as when I come across a bizarre syntactical construction? It would seem that with gramcord I could look up the same construction in all of its appearances and discover how it functions in multiple contexts. And if bible software is worth while, what do you think is the best choice? I use e-sword just because it is free, but I know that the majority text it uses is out of date, and it does not have the same grammar tools as would logos or gramcord. The other two questions revolve around learning Greek and doing exegesis the old fashioned way. Do you think my time would be well spent if I began to read non-Christian hellenistic documents in Greek? The other is a sort of cheap shot question because it may be designed on my part to avoid learning two different methods of exegesis. I've been reading a lot of Ben Witherington's commentaries lately, and I find that his form of rhetorical criticism is incredibly helpful, finding the exordium, narratio, propositio, probatio/refutatio, and peroratio seems to natural in documents written in a time when such structure was conventional. Do you think that it can yield exegetical fruit or is it better to stick with discourse analysis? P.S. I got a copy of Robertson's Grammar following the advice in the Epilogue of "It's Still Greek to Me," that book is huge. 1. Tools such as Gramcord are very useful indeed. They can, however, become crutches, excuses not to read the text itself. I much prefer to saturate myself in reading the text so that I might derive my sense of "Pauline style" (for example) from reading rather than from mere researching. Does that make any sense? 2. I would strongly encourage you to begin reading non-biblical Hellenistic writings. And I do believe that rhetorical analysis can help us to better understand the NT writings. I have, in fact, employed such methods frequently in my published articles. Perhaps you would like to see a couple of them? If so I will send them to you gratis, if you will provide me with your snail mail address. Glad you're enjoying Robertson's Weightlifting 300 textbook! 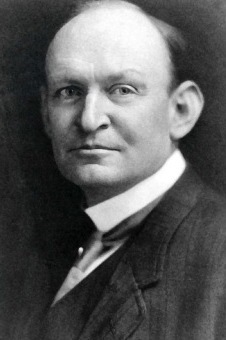 By the way, I'm told that A. T. Robertson (photo), author of what we affectionately call the "Big Grammar," insisted on teaching at least one section of beginning Greek every semester at Southern seminary. Imagine being in that class! 8:01 AM Just received an email from a student that began, "Hey brother Dave!" That is music to my ears. I know people think I'm crazy, but I do tend to take Matthew 23 literally. I'm not in the least advocating disrespect for teachers. I am merely seeking to separate biblical teaching from long-established custom. The principle is that Christianity knows of no special titles in Christ's Body. All Christians are equally "ministers." But we must see ministry not in terms of status but in terms of activity. It is very natural for students to address their professors as "Doctor." Personally I have little use for the title. 8:54 PM Thankful that Nate, Jess, and Nolan could join us for supper tonight. I don't deserve such a wonderful family, but I sure do appreciate them. Becky has gone off to bed. I'm trusting she will have a restful night and a relaxing day tomorrow. We are scheduled to speak in our home church on Sunday. That is always a taxing responsibility, even when one is 100 percent fit physically. Becky wants to be there. I want her to be there. But the Lord knows what is best for us. 6:48 PM Our daughter Liz put together a video for Becky, using pix of our family, both here and in Ethiopia. You might enjoy watching it. It's called He will do great things! Thank you, Liz, for this beautiful labor of love. 1:55 PM We just returned home after a successful treatment, thankful for the superb doctors and nurses God has blessed us with at UNC. Becky went through the chemo with flying colors. And this morning her blood counts looked great. It's been a good first step on a long journey. Praise the Lord! Both of us are exhausted, so it's time for a long nap. God bless you for praying for us. 5:36 AM Off to UNC Hospital. Bec will have her first chemo today. Hope to be back home tomorrow. In the meantime, you can check out Becky's latest essay: In Pursuit of Health. God bless all of you, and thank you for your love and prayers. 1) In the New Testament, ministry had to be received before it was exercised. 2) In the New Testament, all Christians were called to ministry, not some. 3) In the New Testament, ministry was a function, not a status. 4) In the New Testament, ministry was something corporate and shared. 5) In the New Testament, authorisation followed ministry rather than preceded it. 6) In New Testament days, character, not intellect, was the most important condition. 7) In the New Testament, they selected their leadership from men of experience. 8) In the New Testament, men were trained on the job as apprentices, not in a college. 9) In the New Testament, leaders were of two kinds, local and circulating. 10) In New Testament days, local ministry consisted of people called to serve and lead in their own locality. 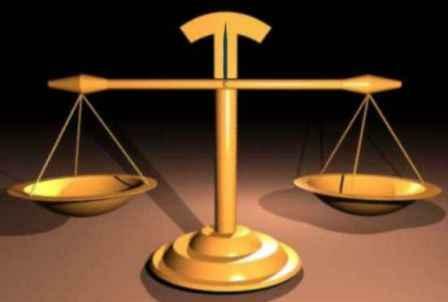 11) In New Testament days, leaders were normally not paid. 12) In the New Testament, the leaders saws theirs as an enabling ministry. 13) In the New Testament, doctrine was important. 14) In the New Testament, ministry was seen in terms of people, not buildings. Strong words. We could not ask for a clearer statement of what is wrong with our churches today. Why are we so reluctant to take a fresh look at Acts? And why are we so unwilling to practice what we know to be biblical? As Christians, instead of identifying ourselves as primarily kingdom citizens, we see ourselves first and foremost as Democrats or Republicans, conservatives or liberals. The Sermon on the Mount gets eclipsed by the political platforms of the DNC and the RNC. We like to say that we transcend such earthly contrived political conventions, but we can point to very little evidence to show that this is indeed the case. Read On Why the Church in America Cannot Speak Truth to Power. I should note that Allan and I will be serving as the editors of the new Areopagus Critical Christian Issues Series, published by Energion. The series will make a quantum leap in biblical scholarship. (Just kidding.) I look forward to collaborating with Allan. It will be fascinating to see what manuscripts we receive in the coming months. Mark Goodacre at NT Blog has agreed to hold live, online "office hours" this Friday, Sept. 18, at noon EDT on Duke’s Ustream page:http://www.ustream.tv/dukeuniversity. Professor Goodacre will be giving his take on "the New Testament in the news" -- and responding to questions from anyone who submits them online. To submit a question, in advance or during the webcast, email live@duke.edu , tweet with the tag #dukelive, or post a comment on this Facebook page --http://apps.facebook.com/dukeuniversitylive/. Sounds like an excellent event. I wish Mark well. 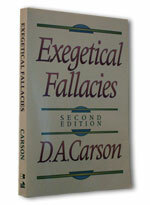 6:25 PM Nick Norelli reviews Don Carson's excellent book Exegetical Fallacies. Carson is a master at covering a wide range of subjects and putting them on a shelf that most of us can reach and benefit from. We are all human and susceptible to committing the sort of fallacies that Carson exposes. 6:21 PM Jon Glass continues his series on Studying the Scriptures. More not-shockers: conservative activists are focused like laser beams on abortion and homosexuality, while progressives are interested in poverty, health care, the environment, the economy in general, and ending the war in Iraq. Conservatives love them some individualistic ethics and free-market economics, progressives want to see structural reform. This may be the nub of the matter for many of us: our traditional patterns of religious and political scalp-hunting are the very things that prevent the Holy Spirit from penetrating the stubborn patterns of our lives. And the more sincere and humble the activist is, the firmer is his or her hold on other people – and therefore the more dangerous. We are so accustomed to the church having its ethics commissions and public policy boards that we find it practically impossible to imagine the church without them. It is well to remember that neither Paul nor any of the other apostles ever challenged the political status quo. They never saw and never imagined a church with people rushing on their feet to keep the political machinery going. The church can overcome this false allegiance only by returning to the basic doctrine of Christ's incarnation and his utter devotion to the kingdom of God. Once again, we can put the point in terms of Christian Archy. The kingdom of God belongs not to the powerful and religious but to the poor and childlike humble. The test is simple: How much do you really serve the world without religious and political machinations? It is only when we become active in obedience to the Suffering Servant that the ministry of reconciliation (1 Cor. 5:17) is seen in its true meaning and has its full freedom of operation. The Christian movement only began to catch on when Jesus was crucified. 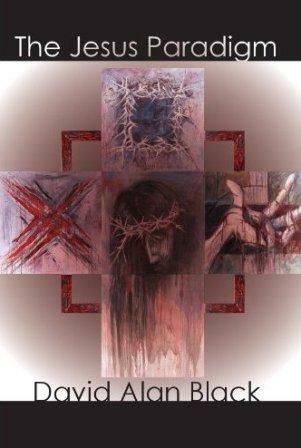 His cross became the symbol of the new movement. The symbol of death became a badge of honor. The same thing can happen today. 6:12 PM The BBC reports on Baptist battles in River Jordan. I know I'm laying my head on the block for saying it, but is there anything more ridiculous than followers of Jesus waiting to be baptized until they can afford a trip to the Holy Land? Baptism is a hugely important thing and, if I recall, it was Jesus' first command to His followers. Surely it is very strange that anyone should think that baptism could become a fashion statement – "Look at me! 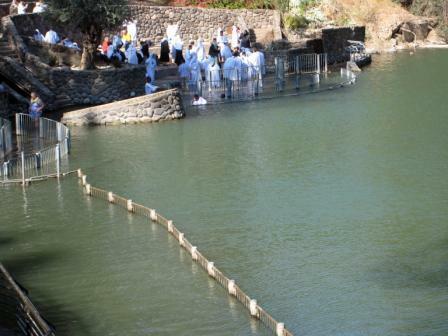 I was baptized where Jesus was baptized!" 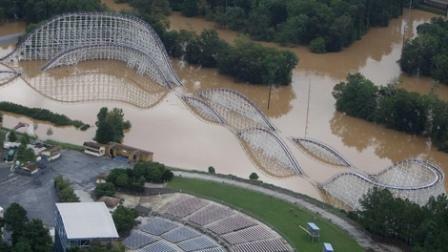 Needless to say, in New Testament times you got wet as soon as possible. Baptism was, if you will, a public "pledge of allegiance" to Jesus Christ. It marked the beginning of your discipleship pilgrimage. And the order is clear: first baptism, then instruction ("baptizing…teaching," Matt. 28:19). Many complain that western Christianity has become nothing more than a cultural fad. I think this charge has a great deal of substance behind it. Don't pray for the persecution to stop! We shouldn't pray for a lighter load to carry, but a stronger back to endure! Then the world will see that God is with us, empowering us to live in a way that reflects his love and power. I believe it was Vance Havner who once said: "We do not have to live. We have only to be faithful." Think of Stephen kneeling before his persecutors with cheerful countenance, or of Peter sleeping soundly between his guards the night before his execution. As always, the blood of the martyrs is seed. 6:33 AM Becky bought several wigs yesterday. I haven't seen them yet but I'm sure they're beautiful. After all, they have the imprimatur of Jessie and Liz. 6:27 AM Below are some pix of yesterday's haying. They will probably bore you silly. People either like farming or they don't. When you come down to it, farming is just plain hard work. How can anyone say otherwise? But to those who love farming, there's nothing like it. As I go back over my life, carefully reading it in the light of the Bible, I see that my faith in God has never disappointed me. He has led me as One in whom I can place my total trust. And it is He who placed me here at Rosewood. Of course, He has a huge sense of humor. Only God would have placed me on a farm -- the ultimate beach bum, raised in laid-back Hawaii with nary a farm animal or blade of hay. Farming is like a meta-language to me. I understand it quite well though sometimes it sounds like rambling -- "bush hog," for example, or "baler twine." What an odd reversal: Greek prof mucks manure. Perhaps scholars know better than most people that reality is a fragile, provisional thing. Despite our restlessness, however, God builds us a world that makes sense, with meanings, limitations, imperatives -- all of these congruent with reality. So I do not take my reality lightly. I'm aware of the limitations of farming, the tremendous ebb and flow of crop values, the illusory promise of happiness. Amid all the limitations of my chosen lifestyle I have come to a realization: I am a pilgrim and exile on this earth, eager to pick up stakes and abandon everything. I enjoy my farm but I don't worship it. I must, however, be a wise steward of what is entrusted to me, until that day when I enter my true Home, with which nothing on this earth can compare. But enough philosophizing. Here are the photos. I raked while Nate baled. We sold most of the hay in the field (customers came and picked up their own bales). A couple of trailer loads ended up in our barns to be sold this winter. 10:16 AM Had a discussion recently with a student about patriarchy. I shared with him my concern that sometimes even biblically correct positions can be reduced to a dogmatic narrowness, formalism, and fundamentalism. 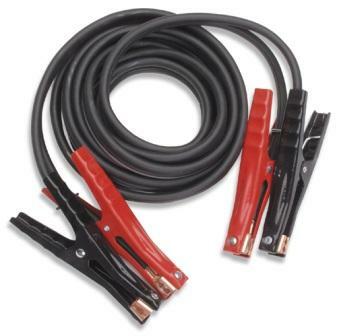 And this of necessity leads to a kind of fascism. Sadly many Christians gravitate to such black-and-white thinking, glad to find someone who can tell them what to do, someone who will "protect" them from society. Patriarchy-ism is becoming a beacon of authority precisely because it speaks to our insecurities in a time of incoherence. But is that not a danger of any of our "movements," including agrarianism? This, at least, is what I argue in my forthcoming Christian Archy. 9:56 AM Family news: Becky begins chemo this Thursday at UNC. It will be an overnight stay. Right now she and her daughters Liz and Jess have gone wig shopping down in Durham. I asked her to get me one while she's at it. In the meantime Matt is helping the boys with their homework. Micah's working on spelling his name; Caleb and Isaac are sloshing through addition. Nolan loves his Papa B, and Papa B loves Nolan! 8:57 AM This morning I deleted from my Favorites perhaps the leading libertarian website on the Internet. The libertarian position is a dismal platitude without a single hope. I must break off and leave it behind so that I can hear the strange Word of God. It is my view that faith in the Lord Jesus Christ is absolutely essential. This implies that it is not enough to invoke the name of Christ when defending one's anti-imperialistic or anti-war views and fail to invoke his name as Savior and Lord. Everything in libertarianism is directed to the rights of free citizens. But America is not my commonwealth. I am a citizen of heaven, and its King must receive the preeminence He is due. 1) The church at Philippi deeply cared about Paul. They had inquired about his health and prospects (1:26). They had also been anxious about the condition of Epaphroditus (2:25-30). A missionary church is a caring church. 2) Paul shows how his circumstances had resulted in the advancement of the Gospel. His imprisonment had given him access to high government officials to whom he had become a friend and counselor. It had also emboldened timid Roman Christians. A missionary church puts the Gospel above every convenience and comfort and does not neglect to befriend public figures. 3) For Paul, living meant Christ and dying meant gain because he simply got more of Christ. A missionary church is at peace whether or not its members continue in life or are taken in death. 4) Certain ones in Rome had preached Christ because of their envy of Paul and through motives of crass partisanship. Paul says, "If Christ is being proclaimed, I am happy!" A missionary church rejoices that in every way, in pretense or in truth, Christ is proclaimed. Paul's Lord was the original revolutionary. Following Him involves a complete reorientation of life. We are called to be upsetters, people who turn the world upside down for Christ. To love Christ, to share Christ, to die for Christ if necessary -- that is our only purpose in life, as it was Paul's. 7:48 AM "Nate's got a bad case of hay fever." Thus spoke Jessie yesterday. She meant "Nate's got haying fever." It's an incurable disease around here. Haying is some of the hardest yet most enjoyable work we do on the farm. Much of today will be spent in raking and baling. Can't wait for the festivities to begin. But the heavy dew has to dry first. 6:55 AM It is a pleasant feature of the modern world that I can send an email to Ethiopia and receive a reply the same day, provided the electricity is working. Our ministry has been hampered this past year by the lack of hydro-electric power in the country. Things seem to be better in the north (Gondar) than in the south (Burji). There is no reason to believe that the situation will improve much in the near future. Still, we are spoiled in comparison to our forefathers' generation of missionaries who had to rely upon snail mail and communications that often took months to be completed. 6:43 AM David Gushee says we should get out of Afghanistan. I believe his essay merits attention and self-examination. Even if might is the only thing that can destroy al-Qaeda, its support base can be eroded by pursuing policies that Arabs and Muslims see as unjust. I am glad to see a leading Baptist theologian and ethicist enter the moral arena in a serious way, going beyond truisms and recognizing the obligation that accrue to us as Christians. Meanwhile the U.S. is like the proverbial dinosaur in the tar pit, while fear and distrust of America increases globally. 7:28 PM The doggies said, "Let's go for a walk, Daddy," so off we went. A perfect idea on such a perfect evening! 6:32 PM David May is a man after my own heart: a professor of New Testament and a missionary to Myanmar. Check out his excellent blog here. 6:10 PM Becky and I had the privilege today of being with the brethren at Cresset Baptist in Durham. Let me start by thanking everyone involved in making our visit a reality, including Jon and Matthea Glass. What a joy to work side-by-side with you in the Gospel. Thank you so much for the sacrifice and investment you've already made in the church in Africa. Cresset, your pastor rocks. I love that man. And Matthea -- you are just as much a fulltime missionary as Jon is. And what can I say about those who turned out for our meeting after church? Nine of you signed up to commit our 2010 trip to prayer. To be honest, I'm excited about the future of the work in Ethiopia. Our meeting today has me pumped up for our gathering in two Sundays at Messiah Baptist in the Forest of Wake. I can't wait for Ethiopia 2010 to begin! My prayer is that God's Spirit moves in hearts in such a way that we will never be the same as a result of our partnership in the Gospel. Meanwhile, if you're new to DBO, I invite you to check out our Ethiopia Files. Surf around a bit -- or actually a lot. God is doing some big things in the Horn of Africa through little people like Becky and me and our other team members. It's amazing what God can do through weak but yielded vessels. On Sundays there's so much to distract us, including football. Let's get distracted by the resurrection of Jesus Christ and His love for the nations! 7:52 AM Happy Grandparents Day to Becky and me!! 7:17 AM There's a new book out on "Ephesians," I see. I'd love to read it but I can't afford it. At any rate, I put "Ephesians" in quotes because the majority of New Testament scholars have concluded that the book was an encyclical epistle. That is, it was not first sent to the Ephesians but to a group of churches in Asia Minor. I disagree with this prevalent view. If you're curious as to my reasons, they may be found in an essay called The Peculiarities of Ephesians and the Ephesian Address (.pdf). And yes, I defend the originality of the words en Epheso in 1:1, even though the "earliest and best" manuscripts omit them. 7:17 AM I love my pastors. I'll miss them today because I will be at another gathering. They are laymen before they are "ministers." They remain laymen while they are ministering. Their job is not to do something for me but to help me do something for myself. The ministry of the Word is not the right to speak exclusively for God but the duty of seeing that the Word has free reign among the people. Leader, do you recognize that your primary calling today at church is as a member of the Body? 6:59 AM Well, Nate cut yesterday, so it looks we'll be picking up hay Monday or Tuesday. Chris, Woody, Lendon -- you guys up to it? 6:56 AM Right now I'm reading through the book of Acts in preparation for Wednesday's theology class. I believe Acts 2 contains incipient but permanent principles of organization and life for the church. The church is not yet fully organized, but what we do see is a fully functioning corporate Christian community. And what a community it is! It operated under the control of the Holy Spirit, and the doctrine of the kingdom was central in its teaching. What is striking is that the early church was always in action. The work of the kingdom was beginning. One manifestation of their new life is seen in their frequent celebration of the Lord's Meal to commemorate His death and soon return. Common meals were served in their homes, and many outsiders were irresistibly drawn to the new Christian community. Liberality and fraternity were everywhere. The church was a new society, a new humanity, not an evolution. O how I love this church! How I look forward to talking about it in class. May we learn to forget our unhappy partisan divisions and miserable jealousies. May the Holy Spirit stamp His love on the hearts, personalities, emotional natures, intellects, wills, and entire conduct of God's people. Evangelicals, we can do together what we cannot do apart, and I for one am willing to work with you in extending Jesus' loving rule into a broken world. 6:48 AM Just added to my favorites: NT/History Blog. Excellent site! 9:38 PM Almost forgot. Ed was kind enough to read a draft of Christian Archy and found several typos I had missed. Thank you brother. My word, I hate typos! 9:02 PM Just spent a hugely enjoyable evening with Ed, Dolores, and Leanna Johnson. Ed has been to Ethiopia 3 times with us. Dolores and Leanna cooked the most delicious lasagna and Becky provided the freshly baked bread and salad. She also set a very lovely table. Thanks for the visit, Johnsons. You mean a lot to us and to the kingdom. We love you guys! 1:06 PM A seminary in Sri Lanka is seeking a visiting professor of hermeneutics or synoptics. Gohere for more information. Sind die guten Werke notwendige Voraussetzung oder Folgeerscheinung einer glaubwürdigen Verkündigung? Ist der politisch-diakonische Einsatz für Gerechtigkeit in der Welt eine unerlässliche Bedingung für die Glaubwürdigkeit der Glaubenden oder nicht? While you're at the TSE site, you might try out their Bibelquiz. You can even tell them how difficult you want it to be! 12:30 PM Just finished mowing the yard in perfect 75 degree weather. Reminded me of Hawaii, where the air temp and the water temp both averaged about 75. Fabulous. In January, ecfa member organization Prison Fellowship laid off 40 people as part of a 12 percent budget reduction. While no more large staff cuts are anticipated, president Mark Earley says he expects another expenditures decrease in the next fiscal year. In an "urgent prayer and budget request" e-mail appeal in March, Earley told partners that the nonprofit faced a $2.8 million deficit in donations. "We know that if we do not make up this shortfall," Earley wrote, "we will be forced to make even more cuts." "The positive in this is that it's causing us to be more focused on our mission in a very clear way, and to invest our resources more pointedly in the core aspects of that mission," Earley told CT.
Another organization that's retooling is Greater Europe Mission (GEM), headquartered in Monument, Colorado. 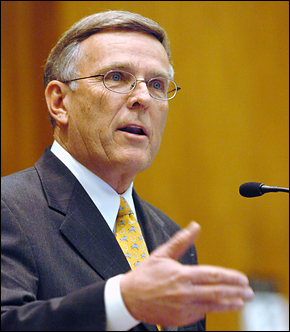 Chief executive Henry Deneen says that in February 2009, GEM reduced its budget and cut personnel as part of a strategy shift. The new approach involves more direct contact with congregations through personal visits. Ah, missions both streamlining and returning to the local church -- music to my ears! 10:34 AM Speaking of conferences, Kar Yong reports on the recently held Intentional Disciple Making Conference in Singapore. 10:27 AM Check out Gordon-Conwell's upcoming conference: Renewing the Evangelical Mission. Speakers include Os Guinness, Michael Horton, Bruce McCormack, Mark Noll, J. I. Packer, Cornelius Plantinga, Tite Tienou, Kevin Vanhoozer, Miroslav Volf and Lauren Winner. Dates are Oct. 13-15. Basically, I am firmly committed to age-integration but don't think that every single ministry of the church has to be completely age-integrated. I do not think my views are the only option, though I am passionate about them for what I believe to be good, Biblical reasons. Read A Call for Balance in Age-Integration. 9:30 AM Looking forward to being at Cresset Baptist Church in Durham tomorrow. We'll give an update on Ethiopia. After the service we'll be meeting with anyone from Cresset who is interested in going with us on our next trip. We intend never to enlarge the field of laborers without much prayer and seeking of God's wisdom. 9:22 AM The Body of Christ exists for one purpose -- to do what Christ did with His body. He gave it for the world. 8:55 AM A beautiful morning for gardening. I roto-tilled while Becky transplanted her Swiss Chard. Love it! 7:46 AM Almost everywhere I go someone says, "Because of 9/11 we had to invade Iraq." I disagree. Under our former president we pursued a policy that killed or maimed thousands, created millions of refugees, and destabilized a volatile region. Ultimately I am convinced that the Iraq War will go down as the greatest foreign policy disaster in American history. What right does the U. S. Constitution give us to "change the world"? America is not a redeemer nation. That Americans are God's Chosen People is a myth, and I will have no part in our millennial mission to democratize the world. Christ's message is not a call to arms but a call to care, and I would gladly give my life to share the Gospel with bin Laden or any other Muslim for that matter. I do not believe in America. I believe in another kingdom, one led by a King who said, "If you pick up the sword, you will die by the sword." In an age of omnipresent war, I pray that Christians will have enough courage to love our enemies. A poor frightened world trembles from one bomb attack to another. But there is a balm in Gilead and there is a Physician available. And the way for men and women to avoid God's judgment is to hide in the forgiveness of a Savior who sat around a table with a Zealot revolutionary and a Roman tax collector and loved them both. 7:34 AM Yesterday I took Becky to the Berry Hill Plantation in Halifax County for a Swedish massage and prime rib dinner. I think she was completely surprised. It was a very pleasant evening for us. 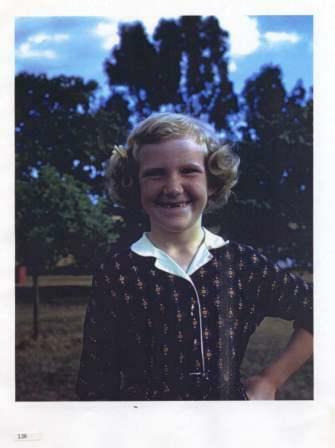 We walked down memory lane and reflected on the Lord's goodness to us. The plantation home is one of the few Greek revival houses still standing in the area. The original plantation comprised over 100,000 acres. The portico reminded me a lot of Robert and Mary Lee's home, Arlington House, except that these columns are fluted. We dined in the intimate setting of the Carrington Restaurant overlooking the vast expanse of the plantation. Both the food and the service were outstanding. This horseshoe stairway is very rare, even in ante-bellum homes. I enjoyed playing this 1844 piano. I'm afraid it was probably last tuned in that year too. Afterwards we came home and watched some Wagon Train, filled with happy thoughts about the miracle of marriage. I still can't get over the fact that Bec has put up with a dunderhead like me for all these years. We treasure each and every day the Lord Jesus gives us to serve Him together. 7:12 AM The weather outlook looks great for the next few days. To cut or not to cut hay? That is the question. 2:06 PM Thankful today that "God's riches in glory" are not affected by who is in the White House or by a fall in share prices. 10:38 AM You can read the Bethel Hill Baptist Church vision statement here. I think it's phenomenal. 10:26 AM Had the joy of helping Nathan with a load of organically grown hay today. These bales will feed goats in Timberlake, NC. 10:12 AM Here's a word I love: unity. We've spoken about it a lot in our classes this semester, as well we ought to. This word has not always been important to me. But my own experience and involvement with believers across the globe have led me to a deep conviction that followers of Jesus can and must work together for the Gospel. In Ethiopia Becky and I work with a broad variety of churches. The spectrum of denominations is amazing: Pentecostals and Lutherans, Baptists and Mennonites. The need of Ethiopia drives us together. The realization that only 18 percent of Ethiopians are born again believers presses us to pray. We need Jesus. We need the Holy Spirit. We need wisdom and faith, healing and hope. And we need each other. The words "fellowship of the Holy Spirit" (2 Cor. 13:13) have a fresh impact. In Acts 2, Pentecost began when the disciples had come together in one heart and mind. The power of Pentecost is still available today. Pray with me that God would unite us around the Good News so that the kingdom of God may be advanced exponentially. Surely this is more important than defending our view of the ordo salutis or trying to become the number one biblioblogger on the web. As I look around me I see division at every hand. Your first and overriding command to us is that we love one another. You have told us to go out into the world -- not in the context of dissension within the ranks of those who go. Lord, I'm tired of facts and statistics, charts and graphs, debates about Bible translations. Teach me that unity means submission, sometimes swallowing my opinions. I desire -- through prayer, in cooperation, with tears if necessary -- to work with other believers for the sake of the Gospel. Teach your church that we are truly members of each other. Help us to break down the barriers of pain and, by your grace, fight our way to each other. Below: Some of the elders of the Alaba church and the Burji church. Becky and I work exclusively through the local churches in Ethiopia and with their leaders. Our goal is to connect congregations in America with congregations in Ethiopia, since the locus of ministry in the New Testament is the local church. 8:02 AM Adam Darnell is quitting seminary. Here's why. 7:48 AM 33 years ago today I married Becky. 7:30 AM All of you who read this blog regularly know that I have an incurable addition to World War II escape stories. I'm not sure why, except perhaps because I respect the heroism and sacrifice of those allied airmen whose ordeal in captivity often make my own problems look like flea bites. While Hitler had his head in the clouds at the Berghof, these men -- many of them at least -- were plotting escape. I am especially interested in reading about their character -- did they see themselves as victims of circumstances, as men who had "given up," as fated to live and die in a faraway place? 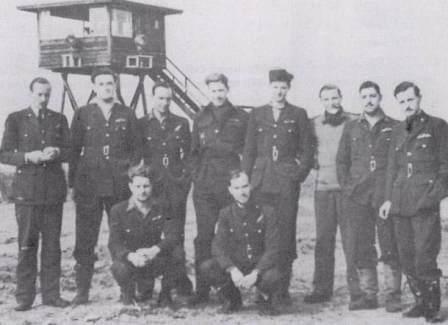 Last night I was reading my latest foray into the art and science of escape, The Last Escape: The Untold Story of Allied Prisoners of War in Europe 1944-1945. The authors were discussing "Dixie" Dean, who was in charge of the prisoners at Stalag Luft VI. What made him such a good leader? they wanted to know. How was he able to maintain control over a group of prisoners that could be undisciplined to the point of anarchy? inspire confidence by showing that he was completely unselfish about food and personal comfort. He had to ensure that everyone in the camp always received a fair share of everything, taking a firm line with those, of no matter what rank, who tried to get more than their share. He had to be indefatigable in negotiating with the enemy to improve conditions and to protect inmates from ill-treatment. He had to bear hunger, cold and other discomforts cheerfully, and by his example maintain the morale of his fellow prisoners. When I read this description on the ideal camp leader I thought immediately of Heb. 13:7, where leaders are mentioned not so much for their titles or authority as for their faith and selfless conduct. Believers are to carefully observe their Christianity and follow their example. Such leaders will certainly "inspire confidence" because of their unselfishness. They will be keen to ensure that their followers are given fair treatment and are protected from injustices. They will gladly bear discomforts and will show no partiality. I am glad to say that the spiritual leaders in my church are men who inspire such confidence by their Christ-likeness. Titles mean nothing to them (e.g., "Senior Pastor"). They lead by feeding the flock a healthy diet, by building consensus ("it seemed good to the Holy Spirit and to us"), by working hard and going out in front with courage and admonishing us to follow Jesus with all of our being (see 1 Thess. 5:12-13). It is a joy to follow their example and their leadership, an honor to be associated with them, a pleasure to "esteem them very highly in love for their work's sake." 7:15 AM Publishers Weekly interviews Graham Salisbury, author of the recently released children's book, Calvin Coconut: Trouble Magnet, a story set on Kailua beach in Hawaii. 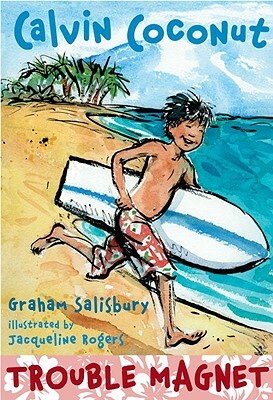 Graham grew up in Kailua (as I did) and attended Kailua Elementary School (as I did). In fact, Coconutis Graham -- and maybe a little bit of me as well. 7:10 AM Josh Mann recommends 11 great books on New Testament Greek. Superb list, Josh! 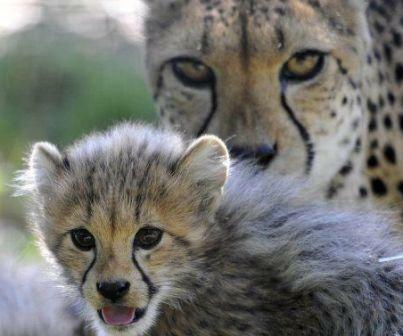 7:07 AM Check out these photos of cheetah cubs with their mother at one of my erstwhile haunts, the Basel Zoo. Not only does Paul give instructions on labor through his words. His own life served as an example to the Thessalonian church as to what it meant to work hard. His example still stands for readers today. To get a full appreciation for this fact, one ought to survey all of Paul’s epistles as well as the book of Acts to see just how disciplined Paul was willing to be for the sake of the Gospel. Yet even in this passage, Paul gives a quick statement that is to the point about his example—he worked night and day so as not to be a burden on anyone else. The implication here is being a financial burden as he reminds the Thessalonians that he and his associates did not eat anyone’s food without paying for it. 7:45 PM Nolan just gets more and more photogenic. Need proof? We love you, Nolie Polie! 7:40 PM Is there anything more ingenious or more functional than a spider web, like this one I found in our woodshed today? Amazing. Reminds me of the beauty of language. 7:33 PM Thankful for Becky, who made the most delicious Chicken Alfredo for supper tonight, along with home grown green beans and a fruit compote. Wow. 6:54 PM To all of our friends and family in Ethiopia: Happy New Year! Becky and I celebrate with you. The idea is to think about what you're reading and not merely parrot whatever translation you happen to be accustomed to. I've learned that when I paraphrase a passage of Scripture (having studied it first in the Greek) I am better able to see how every word contributes to its meaning. That's why I've produced my own paraphrases of the books of Philippians and 1 Thessalonians -- the two letters I use most often when teaching Greek syntax to my students. I tell you, producing your own paraphrase of the text will put your mind in gear like nothing else will. P.S. Many modern commentaries on the New Testament are now requiring their authors to provide their own rendering of the Greek. That's encouraging. Again, it's a lot of work, but the results, I think, are well worth the effort. 1:14 PM Special notice! The DBO Secret Intelligence Service warns that reading the following post may lead to radical activism in your church: Discovering Participatory Church Meetings. 1:06 PM Once again, Henry Neufeld had wielded his analytical knife with excellent effect:Living Romans 12. Well said, Henry. 11:58 AM Credit where credit is due. Becky and I went to the DMV in South Boston today to get her "chariot of fire" registered. The service was both pleasant and efficient. No waiting in line either. A tip of my kepi to the fine people who work there. 10:12 AM Nate and I spread manure this morning in the rain. Got soaked. Got filthy dirty. And loved every minute of it. 7:56 AM They do exist! Baptist theologians, that is. 7:38 AM Do you have the "Athens Perspective"? Here's what I mean. 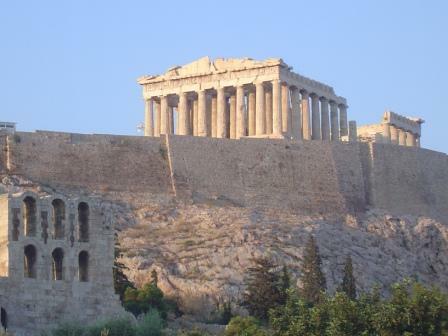 When I first visited Greece in 1981, I couldn't wait to see the archeological treasures of its great capital. The Areopagus, the Acropolis, the Parthenon -- I felt like I had gone to heaven so enraptured was I with all these wonderful sites. But when Paul and his adventurous missionary company visited the city on his second missionary journey, all he saw were spiritual needs. Paul would never have considered himself a "radical," yet he was one of the most radical men who ever lived. "Radical," of course, means going to the root, and Paul plunged through all the layers of history, philosophy, and architecture to the root of mankind's need. Yesterday Alvin Reid told the story of how he and his son once toured the great cities of Europe. He set as his personal goal to share the love of Jesus with at least one person every day on the trip. I can just see Alvin talking about Jesus in the shadow of the Eiffel Tower, striking up a conversation and then moving beyond the distracting loyalties to the core of man's emptiness. There is a radical reformation taking place in our day. Many of us are a part of it. We are tired of debating the virtues of the NIV over the ESV (or vice versa). We are tired of You Tubes criticizing a certain pastor because of the way he pronounces "logos." It's time to get back to the essentials, to dare to put the Gospel first and to allow the Lordship of Christ to unsettle our morose self-centeredness. What happened to Paul in Athens is happening in my own heart. God is beginning to remove any interest in my heart to see the "great sights" of this world. I want to look at the world as God sees it and evaluate everything in life from an eternal perspective. I'm thankful to be part of a missional revolution -- a reordering of priorities in the Body of Christ, a rethinking of presuppositions, a recommitment to conserve the essence of life as Jesus taught us to live it. The Athens Perspective: You either have it or you don't. We are to be the essentialists of our day. In fact, if all we see when we visit Athens are great buildings, there's something dreadfully wrong. 6:53 AM I recall how one year, when we still lived in California, Becky and I dined at Sir Winston's Restaurant aboard the Queen Mary, which is permanently docked in Long Beach Harbor. It's sad to contemplate such a great ocean liner in moth balls, good for little more than weddings and parties. The book of Acts, which will be the focus of next week's theology class, is the story of a church on the go. The same quality of church can be born in Nelson, Virginia, and in your town or city. The mark of a "moving" church is that it exists for others. Vitality, vibrancy, urgency, and involvement complement each other. 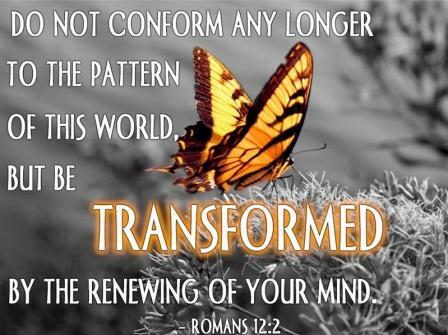 Both our beliefs and our style of life testify to the life-changing power of Jesus. The church in America needs to rediscover the power of the Gospel. 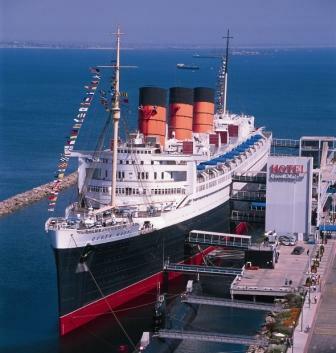 Unless the quality of our lives is a contrast to the dull drabness of the world, our churches deserve to be docked forever like the Queen Mary. 7:52 PM Today in our New Testament Theology class Alvin Reid spoke on evangelism as he superbly guided us through the first two chapters of 1 Thessalonians. I invited Alvin to lecture because I know of few men who are more committed to firing up the current generation of students to become powerful prayer warriors and passionate lovers of the lost. Evangelism must be centered on the Gospel. Evangelism must be proclaimed in word. Evangelism depends on the power of God. Everything must be done with the Holy Spirit and with conviction. We must embrace the idea of becoming missional. Our witness must grow out of our character. This kind of evangelism becomes viral; it spreads like a good disease. "The early church was not about digging holes to build buildings." "Go to the nations unless God stops you. Then go to the cities. But always go where God leads you." "It's amazing how often joy and suffering come together in the Holy Spirit." "It will take conviction to serve God in our culture." "Paul never spells out a 1-2-3, how-to-do-it evangelism." "We do more than proclaim the Gospel with words. We share our own lives." I want to express my profound appreciation to Alvin, a beloved colleague, who has been unceasing in his faithful encouragement of me and my work at SEBTS. His life and example have deepened the sound of the drum beat of the Holy Spirit in my own experience. I truly believe a new day has dawned in Southern Baptist life. The early believers in the book of Acts knew they were called, appointed, and set apart to the work of the Gospel. And so are we! 6:56 PM Did I mention that Becky served up guacamole with supper? Does anything taste better than guacamole? Guacamole will be in heaven. Trust me. 6:25 PM Right now Becky's in the kitchen cooking enchiladas. My mouth is drooling all over the keyboard. 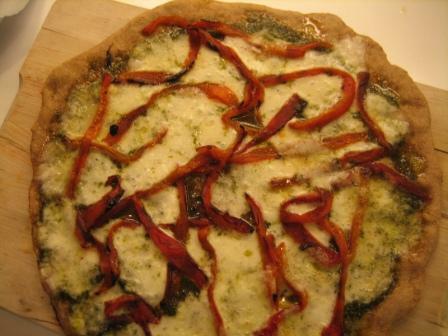 5:58 PM From God Didn't Say That comes this delightful post about Pizza With Fungus. A pizzeria in Eilat, Israel, offers plain pizza and "pizza with fungus," according to the large English menu at the restaurant. That brings back memories. In 1978 Bec and I were in Schönberger Strand in northern Germany when we ordered (in German, naturally) a "pepperoni" pizza. Eventually the waiter brought us a pizza alright – covered with red peppers! There are many such "false friends" (faux ami) in language – another classic example being the word "Gift" in German, which originally meant "gift" but (through a process called pejoration) came to mean "poison." Today I went over to Belief Net to read what Scot McKnight had to say about Bible translationsand was so assaulted by flash ads and pop-ups that I will never visit that site again. Niemals! Too bad Scot gave up his fantastic Jesus Creed blog site. 5:45 PM Let's not be afraid of change. That's the thought that came to my mind as I listened to a report on NPR yesterday. 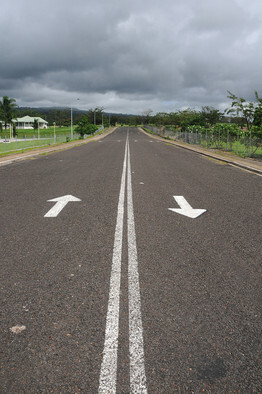 Seems the Samoans will have to drive on the left side of the road from now on – in imitation of their neighbors in Australia and New Zealand. The good citizens of Samoa were given a day off to practice, and all the bars in the country were closed for three days! Change is a healthy, normal process. But a process it is. And occasionally it's downright messy. In the church, maturity is a similar process. As we absorb biblical truth, the indwelling Holy Spirit begins to allow that truth to pervade our thinking in such a way that we start to change our behavior in ways that sometimes surprise us. Ten years ago neither Becky nor I were very involved personally in missions. Now we can't wait to get to Ethiopia twice a year. Neither of us gave our TV habits much thought. Today we watch no television, and we don't miss it a bit. Ten years ago we had no idea we'd be farming fulltime in southern Virginia. The truth is, life is full of changes. Right now Becky and I are changing our eating habits. We know we can eat healthier and that good nutrition can help Becky with her illness. No, we do not believe in a "miracle" diet. Neither do we believe what one author has said: "It is your birthright to live healthy, right up until the day you die!" Nonsense! Let's see, one minute you're healthy, and the next you're dead? Still, it makes good sense for us to eat proper foods and to get the best nutrition out of what we do put into our mouths. And that's how we must operate in the Body of Christ. As we ingest the solid meat of the Word of God, we begin to realize that we can never settle into a smug and comfortable acceptance of low living. Perfection is our goal (Phil. 3:16), and we move on toward it. Amen? Whether it is the Archeology Bible, Patriot Bible, a Celebrity Bible or the Poverty and Justice Bible, when Scripture is used in a manner that sees it subservient to the pragmatic agenda we have misused Scripture and have become unfaithful to its claim to be God's Word and in doing so we have claimed it as our own word to say what we wish to promote. ESV/NASB/RSV: "Whom do you seek?" NRSV: "Whom are you looking for?" I recall discussing this very verse when the ISV Committee on Translation met. We considered three possible renderings: "For whom are you looking?" "Whom are you looking for?" And "Who are you looking for?" We all felt that the latter was the most natural rendering of the Greek, even though it broke two so-called "rules" of English grammar. We tried (and often failed to succeed, I'm sure) in the ISV to balance naturalness and referential accuracy. Incidentally, Wayne Leman has a great discussion of Naturalness in English Bible Versions using 23 examples. And while we're on the subject, I loved reading the comments of Loren Bliese in this interview about his translation work in Ethiopia. Despite the challenges Becky and I face with her illness, the good news is that we can know Jesus better every day, we can experience increasingly the power of His resurrection, we can enter more and more into the fellowship of His sufferings, we can keep on going, though never arriving in this life. I'm glad I stumbled upon Bitsy's review and this Lucado quote. God is so good to me. 5:18 PM All this week I'm working on reviewing my French. I'm reading a great book calledMessages pour notre temps by Alfred Kuen. It's essentially a commentary on the General Epistles. I'm also listening to mp3s of De Gaulle, Sarkozy, and others at this site. 5:14 PM My hobby horse was galloping when I read Perry Noble's 16 signs that a leader lost his mind. 5:10 PM I appreciated this essay on Spirit Led Leadership. 5:01 PM Ever since I "outed" Jon Glass for tweeting during Greek class I've been interested to see what people are saying about Twitter. Leonard Sweet's How Twitter has helped me be a better disciple was especially enjoyable. 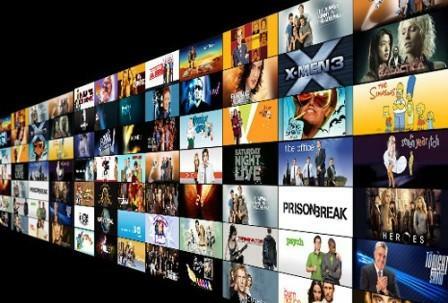 On the other hand…get ready to laugh if you and yours are huge Twitter fans. 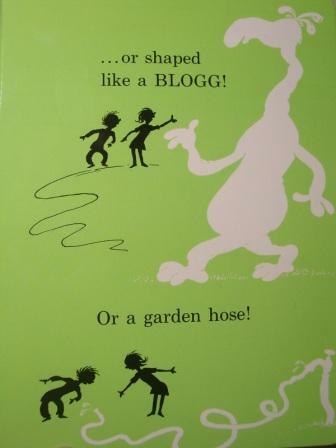 5:04 AM Was Dr. Seuss the original "blogg-er"? 10:25 PM While I was teaching Greek this evening Becky was interviewing three very precious saints at Bethel Hill. You can look for her interviews on the BHBC blog in the very near future. In class there was an air of great excitement as we began to translate directly from the Greek New Testament for the very first time. No more of my silly "See Jane. See Jane run" sentences. This was a historic evening in Greek for another reason too. For the first time in human history (to my knowledge) someone tweeted during Greek class. The recalcitrant reprobate shall go unnamed, but he blogs here. Off to bed, then early to rise. I've got classes for the next two days. 5:28 PM Over at the New Testament Gateway we find Further additions to textual criticism: books and articles. I note with pleasure the inclusion of F. F. Bruce's Textual Problems in the Epistle to the Hebrews (.pdf), which appeared in the Greenlee Festschrift. 2:22 PM Just came indoors to make lunch and get some writing done. The good news is that the fence is finished. Here's Nathan hard at work. I have a saying: "I love work. I can watch it all day." Especially when it's my son doing the work. Alas, Nate is not just a builder; he is a master craftsman, an artisan of the old school. Need proof? Did I tell you we also needed to spread manure today? O the joys of farm life. Again, Nate is our featured star. I give him a perfect 10 for form. Not that I only watch and take pictures, mind you. I am quite the trash can empty-er. Oh, we picked up a hitchhiker on the way back to Bradford Hall. Hope she can find her way home. And here's the final product. Not bad for a couple of hillbillies, eh? The doggies are already enjoying their new and improved run. You may not be impressed, but Nolan is speechless. Well, the rain just started. Isn't the Lord's timing perfect? 10:51 AM Enjoying a quick break from fencing. The weather is ideal for working outdoors: right now it's a comfortable 69 degrees. Bec and Jess have gone off to Sam's Club and Whole Foods. We're planning on some pretty significant dietary improvements around here. 7:50 AM Speaking of work, my schedule for today includes working on the fence, spreading manure, making a trash run, tutoring German, teaching Greek, and prepping for my seminary classes. Did I mention blogging? 7:44 AM A thought about Labor Day: One of the current social fads is what we might call "post-church Christianity." People are dropping out of church, especially young people who may have been converted in non-traditional settings. I must confess that much of what we see in the Body of Christ is indeed very unattractive: anachronisms, inconsistencies, hypocrisies. But I cannot agree that the solution is dropping out. The writer of Hebrews reminds us that we are obligated as believers to "stir one another up to love and good works." How can refusing to meet with other Christians allow us to obey this command? Each Christian is a building block in the temple of the church. Each is necessary for the Body to grow. Each has a part to play. Sadly, the word "work" has become a four-letter word in many of our churches. There are too many shirkers and not enough workers. 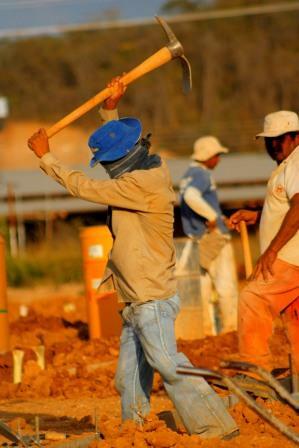 Even Jesus said the laborers are few. If you are a dropout from church (for whatever reason, and you may have some VERY good reasons! ), my simple advice to you is this: Get to work. 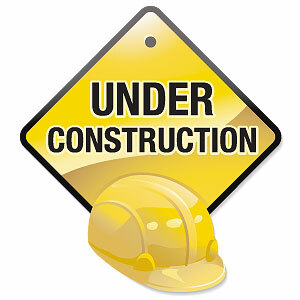 Jesus said, "I will build My church," and He had all of us in mind as His workers! 7:19 AM Potential Ph.D. students in New Testament need to read this post by Nijay Gupta. It focuses, of course, on scholarship in the UK. And it rightly emphasizes the importance of knowing everything you can about your potential doctoral mentor. May I add two words? 1) Do not consider studying with someone you have never met in person. Chemistry is a huge part of the equation in my opinion. 2) Please do not rule out taking a doctorate on the continent. 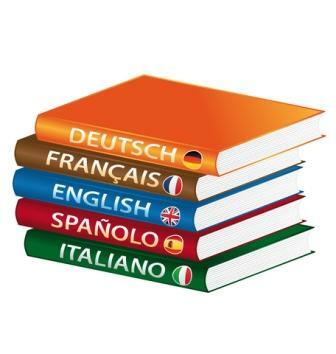 This will require that you speak another language fluently, but that is not a bad thing for someone preparing for a lifetime of scholarly research and writing. Americans are no longer flocking to Germany or Switzerland as they once did, but opportunities still abound. 7:12 AM Over at Primal Subversion, Sean takes another look at the first imperative in the book of Philippians and asks whether its political connotations have been duly noted. For what it's worth, Sean, we rendered it "Live as good citizens" in the ISV. And I quite agree that Paul has our counter-citizenship in mind (he otherwise uses the terms "live" or "walk" for Christian behavior). Could anything have greater significance to a Roman living in the colony of Philippi than to "live as a good citizen"? I remember when we moved from Southern California to the tobacco fields of Granville County, NC, 11 years ago to teach at SEBTS. The nearest hamlet to our ranch had only two buildings in it: the Baptist church and the volunteer fire department. I joined both -- as all "good citizens" of the community did. The Bible teaches quite plainly that we are to be in the world but not of the world, and I did what I could to identify with my neighbors in order to reach them for Jesus. Society is not a burdensome appendage to the Christian religion; it is where our faith is to be lived out. The Philippians may be "saints" in union with Christ Jesus (1:1), but they also reside in Philippi, and none of them could advance the kingdom of God by standing aloof from their counterparts in the world. 4:28 PM Congratulations to Biblical Archaeology Review on publishing its 200th issue. 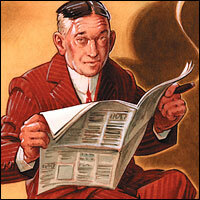 Be sure to read the editor's remarks. Very nice retrospective indeed. For years Hershel had me write a column called "Greek for Bible Readers" in BAR's sister publication, Bible Review, which of course is now defunct. (Kudos to Logos Bible Software for publishing its archives.) So, a thank you to Hershel and his staff for bringing to the attention of simple folks like me important issues in archeology. 2:54 PM Laura thinks it may be time to redirect the discussion of doctrinal differences in her essay Is there a place for doctrinal clustering? Amazingly the discussion thread is silent. A Christian was once asked, "Don't you belong to the Methodist Church?" "No," he replied. "I am a member of a Methodist Church, but I belong to Christ." 2:30 PM Arthur Sido, in an excellent post called Why do we have seminaries?, asks, "Is the 'Young man feels called to serve the church, young man goes to seminary, young man gets hired as a pastor' model really healthy for the church?" The question is a vitally important one. In his typically breathless style, Arthur runs one idea into another with bewildering speed. (That is not a put down; the apostle Paul did the same thing.) But even if you have to read Arthur's post more than once to get his message (as I did), please do so. I can promise you that it won't interfere with your sanctification! 1:54 PM One of my favorite bloggers is back at it. Good to see you writing again, James. And for those of you who are bit rusty and need to update your blog, take heart: God is still in the business of jumpstarting our efforts. "There is nothing more vital to your Christian life than prayer" (Chris). "We need to be looking to the Scriptures so that we might understand God's plan for today" (Jason). Also, I've got to give brother Joel a lot of credit for always setting the tone so well for our gatherings by emphasizing mutual edification. Thank you, Joel! Jesus said, "This is my commandment, that you love one another," and when we link this with his following words we see that for disciples today this means sacrificing ourselves on behalf of others. Surely that should make love our constant priority. All I can say is that God is up to something huge at Bethel Hill and Bec and I are glad to be a part of it. I think of a Michelangelo working on a huge piece of rock. When asked what he was doing he would say, "I am releasing the angel that is imprisoned in this marble." What a transformation occurs when the Master's hand is at work! Becky and I can't wait to see where all of this leads us. It is a miracle beyond comprehending how God can take useless, inanimate pieces of human rock and transform them into what Peter calls "living stones." Praise God Almighty! 8:12 AM Kevin Skull recommends that we read The Romans Debate. I concur. Perhaps the main question is whether or not Romans is an occasional document -- that is, whether Paul wrote it to respond to actual problems in the church. I think he most certainly did, and the issue was one that dogged the early church: division. This is true of our modern churches as well. The "household of God" includes in its earthly membership all Christians of all ages, all levels of education, all nationalities, all social strata, all tribes, etc. The list is endless, and the need for unity obvious. Regardless of our race, color, age, or denomination, we are bound to each other in a fellowship that goes far beyond our stylish theological preferences and personal convictions. Such is the message of Romans (see chs. 14-15) -- Jewish Christians and Gentile Christians form ONE body in Christ. And we are to work together for the Gospel! Do you have to be published to be considered a scholar? 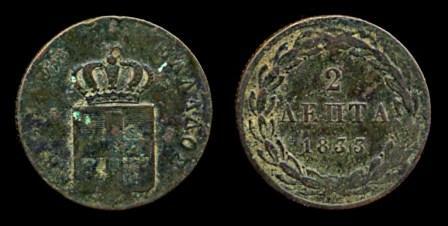 For what it's worth, here are my two lepta. To be a scholar is to be a thinker. To be a thinker is to be a researcher. To be a researcher is to be a writer. And whatever you think is worth writing is worth having somebody other than yourself read. Does that make any sense? So to answer the question: To me an unpublished scholar is an oxymoron. What advice do you have to someone who just doesn't know where to start writing? A blank sheet of paper (or new Word document) can look very intimidating. 7:22 AM I want to remind everyone that my guest lecturer in Wednesday's theology class is my colleague Alvin Reid, who is also the featured speaker at this month's Student Ministry Summit. His lecture on 1 Thessalonians begins at 2:00 in Adams 211. I hope he brings his snake. I really do. Please, Alvin? 7:17 AM Over at the Dallas Morning News, William McKenzie asks a very good question: Do we overvalue biological life? 7:12 AM Phil Whitehead recently had fun at the British Library. I had fun reading his report. 7:08 AM Kudos to Peter Lopez for teaching the book of Hebrews in his home church. I'm praying for many more like him -- "laypeople" who love the Word and have the guts to teach it, verse by verse. Bravo! If you are given the chance, preach the Word to the lost. If you want to invite them to the gathering of the church, that is great, but it is not a substitute for proclaiming the Gospel of Jesus Christ. 6:55 AM This is the sight that greeted me this morning while having my devotions on the front porch. Our orders—backed up by the Master, Jesus—are to refuse to have anything to do with those among you who are lazy and refuse to work the way we taught you. Don't permit them to freeload on the rest. We showed you how to pull your weight when we were with you, so get on with it. We didn't sit around on our hands expecting others to take care of us. In fact, we worked our fingers to the bone, up half the night moonlighting so you wouldn't be burdened with taking care of us. And it wasn't because we didn't have a right to your support; we did. We simply wanted to provide an example of diligence, hoping it would prove contagious. Don't you remember the rule we had when we lived with you? "If you don't work, you don't eat." And now we're getting reports that a bunch of lazy good-for-nothings are taking advantage of you. This must not be tolerated. We command them to get to work immediately—no excuses, no arguments—and earn their own keep. Friends, don't slack off in doing your duty. "Don't freeload. Pull your own weight. Don't sit around on your hands. Work your fingers to the bone. 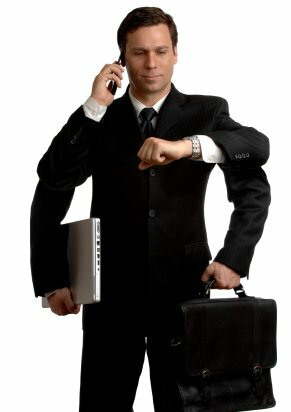 Get to work immediately -- no excuses, no arguments!" Goodness! Sounds like your mother speaking, doesn't it? 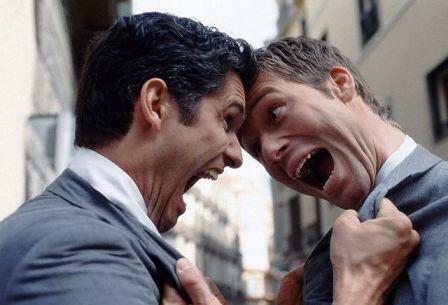 In Christianity there is always the dual response of hearing and doing. "My sheep hear my voice and they follow me." May God give me open ears and obedient feet today -- and forgive me for my sloth. 7:20 PM Looking forward to a visit tomorrow from Becky's sister Barbara and her husband from South Carolina. 10:45 AM Henry Drummond: "Don't touch Christianity unless you are willing to seek the Kingdom of Heaven first. I promise you a miserable existence if you seek it second" (Interpreter's Bible, vol. 3, p. 323). 10:34 AM Another thought on Bible translations. I don't care whether someone uses the KJV, NIV, or any other version. We honor God when we place His Word above every other word. The tragedy is that we prefer crackers and cheese when God's table is loaded with blessing. 10:22 AM Thanking God today that when the outlook is darkest the uplook is brightest. 9:58 AM Allan Bevere treats us to The Reformation Polka. 9:22 AM Bec and I spent the morning sipping coffee on the front porch and talking about Ethiopia. We leave Oct. 1 for Dallas to speak in several churches there as well as in Houston. We've also been invited to spend a day at Houston Baptist University meeting with the M.A. in Biblical Languages students and giving an Ethiopia presentation. What an honor. This month we'll be at Cresset Baptist Church in Durham and Messiah Baptist Church in Wake Forest giving updates and doing some preparation for next July's trip to Ethiopia. The orientations for that trip will begin very soon. The season for doing missions never ends. I have prayed with increased earnestness that the Lord will provide us with the wisdom and strength we need for the tasks at hand. I cannot describe the joy I have in God when I work side by side with my wife for the kingdom. We are resolved to continue this course until He says stop. 9:08 AM Becky's Mercury Villager has been a great minivan but it's got over 235,000 miles on it. Becky needed a newer car for all the driving we'll be doing back and forth to UNC. Jessie found the perfect car for us on Craig's List, and yesterday Bec and I drove out to Hampton to get it. It's got only 29,000 miles on it. Not bad for a 2006 Honda Odyssey. Note the color. Becky's always wanted a red car, and we were happy to indulge her. She deserves it. 8:32 AM I've been wondering what the Better Bibles Blog would write about the NIV controversy. Well, their last 4 entries answer that question. I suspect the brouhaha is only just beginning. UPDATE: Alan Knox chimes in on Bible translations here. 8:08 AM What's the purpose of a seminary? Some go in for knowledge and specialize in theology. Some major on religious activity and social concern. Some specialize in feeling, experience. Ideally the head, the hand, and the heart should coexist happily together. There is only one way to do this. What we know intellectually we must obey volitionally if we are to be sound emotionally. I think all of us at SEBTS are working hard to achieve such balance. I know we fall short. But when I read something like this I am greatly encouraged. If you decide to study with us you should know that you will be challenged to honor God with your time and money, not just your mind. We don't need more knowledge. We need wisdom. We need guidance, and Jesus is the Way. In other words, we need to get on with the large, positive, grand concern for which God called us. My constant prayer is that our nation's seminaries would grow more and more to be institutions that are synchronized with God's own heart. Let our burdens reflect His burdens. Let our priorities be His. Amen? 1) Seek first the kingdom of God vocationally. Ask tough questions about your employment. Are you where God wants you to be? If so, are you using your occupation to advance God's kingdom? 2) Seek first the kingdom of God maritally. Have a Great Commission Marriage. Put the kingdom first in your married and family life. 3) Seek first the kingdom of God geographically. The issue of where we live has everything to do with the kingdom. Let's be open to God's guidance. Unlike our secular counterparts, we can no longer select a place to live based merely on comfort, affordability, good schools, etc. 4) Seek first the kingdom of God ecclesiologically. I strongly urge you to find a church home that shares your urgency for the kingdom and global missions. Traditional wisdom dictates that we are to seek a church on the basis of buildings, programs, convenience, and, regrettably, personalities. As a result, church life becomes inwardly-focused, and we fail to become the presence of the kingdom in society. Recently Becky and I joined a church in Roxboro, NC. We did so largely because of its clear and consistent vision to be a part of the kingdom initiative of God. It seeks to manifest the values of Jesus' upside-kingdom. It gives high priority to missions. Our goal is to strive as authentically as possible to incarnate the life and teachings of Jesus in our corporate and individual lives. 5) Seek first the kingdom of God financially. Jesus calls us to avoid the rat race of consumerism and materialism. Let's reexamine our lifestyles to see how we can free up dollars for the kingdom. 6) Seek first the kingdom of God physically. Obesity and self-indulgence characterize many American evangelicals. It never occurs to us that avoiding overeating is a way to serve the kingdom. As disciples we are called to set aside physical comfort and devote our bodies to God as living sacrifices. I struggle constantly to keep my weight under control. But I must maintain good physical condition if I am to be able to walk long distances in Ethiopia. 7) Seek first the kingdom of God ministerially. Every believer is a fulltime "minister." Churches can do much more to utilize qualified volunteers who essentially pay themselves to serve. We must change the emphasis in our churches from hiring professional staff to equipping "laypeople" to be the church. 8) Seek first the kingdom of God institutionally. Let's ask, "How can we use our corporate resources most effectively and sacrificially for the kingdom?" Take our church buildings. Surely we can do a better job in constructing and utilizing church properties so as to channel more resources into missions and service to the needy. I once read of a congregation of 4,000 in Oregon that, instead of building a new sanctuary, established a separate corporation to build a self-supporting convention hall that the church uses free of charge. Another example: Missionary organizations can separate overhead costs from money raised for missionaries. In other words, money contributed to missionary causes would go entirely to these causes, while all overhead costs (including salaries for executives) would be raised separately. 9) Seek first the kingdom of God intellectually. 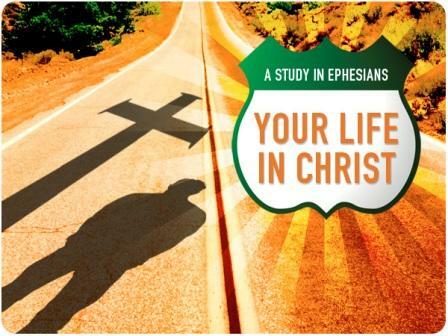 Has Christ's lordship had any effect on your thought life? What you read? Your attitudes? 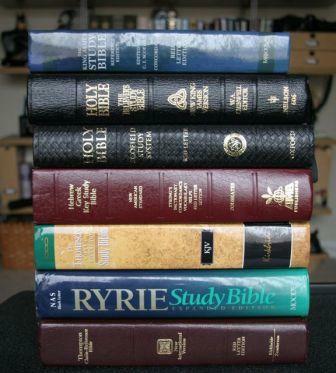 Sometimes it is easier to read books about the Scriptures than to read the Scriptures themselves. What makes us think that commentaries or websites are more important than the Word of God? We neglect the Bible to our own peril. I often remind my students that 99 percent of what I know about God and the Christian life I learned from reading my Bible rather than books about the Bible. God does not ask us to forego reading books by human authors (goodness, I've written my share of them), but His lordship is not visible in our lives until we prioritize His Word. These are some practical ways by which we can seek first the kingdom of God. I'm sure many others could be mentioned. Seeking first the kingdom of God means that our time, our money, our very selves are available to God, to our brothers and sisters in Christ, and to the world. It's not a matter of simply attending church or participating in endless rounds of programs. It's about changing the world by becoming what Jesus intended the church to be: a servant to the world. "The church is only the church when it exists for others," said Dietrich Bonhoeffer. Christ calls us to pour our lives into the needy world that surrounds us. He promises us that as we do this, we will find that His yoke of service is easy and His burden is light. If you live this way, you will find His promise -- as Becky and I have -- to be true. 6:45 AM Yesterday at Bradford Hall we had a wonderful family reunion. Of the canine variety, that is. Jon and Matthea Glass, along with Catherine, Carter, and Caleb, brought their puppy Galana to visit with her parents (Sheppie and Sheba) and sister (Dayda). Galana felt right at home; in fact she ruled the roost (sorry for mixing metaphors). Here's the happy family (clockwise from left): Dayda, Sheba, Galana, Jon, Catherine, Matthea, Carter, Sheppie, and Caleb. We took a walk to visit the cows then had lunch together. I tell you, it was more fun than flubber. 7:45 AM Nate and Jess eventually want to get an outdoor pool for their kids. Guys, I've got the perfect idea. 6:55 AM Christianity Today takes a look at the relationship between development work and evangelism in this post called A Unifying Vocation. The essay raises more questions than it answers in my opinion. Far too often Becky and I have seen well-meaning evangelical organizations in Ethiopia sign agreements with the government that permit them to build schools, construct hospitals, and dig wells -- as long as they do NOT engage in any form of evangelization. To us this form of missions is completely unacceptable. The Great Commission tells us that we are to be witnesses for Christ, to build His kingdom, to be activists in the cause of missions, right up to the return of Jesus. Like so many other things in life, there is a "being" and "doing" side to witnessing. These are meant to work in unconscious harmony with each other. But the emphasis on boldness in the Book of Acts should remind us that our main purpose is to be faithful witnesses to the death and resurrection of Jesus Christ, not just to be do-gooders. How tragic to see a village well that has been constructed by God's people but that has absolutely no Gospel witness! Incidentally, this is one reason why Becky wrote about this subject in her essay The Role of Humanitarian Aid in Building the Kingdom. Sadly, I believe that off-balanced ideas about development work are actually hindering the cause of Christ in Ethiopia rather than helping it. 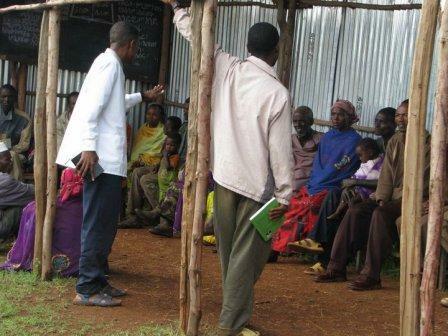 Below: Evangelist Solomon preaching at the Galana Clinic. 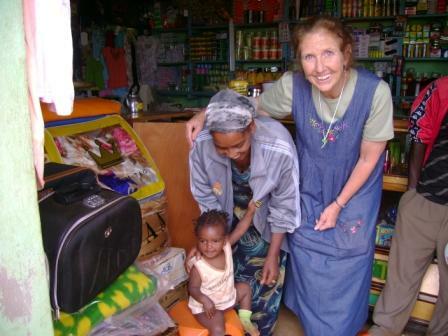 The spiritual ministry is central to the work of God in this health center in Southern Ethiopia. By the way, this picture reveals something of the balance we seek to achieve in our mission work. People are sitting comfortably in a "waiting shelter" that we constructed to keep them from waiting in the sun. Solomon works fulltime to see that all the patients are exposed to the Gospel message through open air preaching, visitation, flannel graph presentations, etc. 6:43 AM Theological German has posted a wonderful quote from Karl Barth about prophecy. 6:25 AM Last night Nate and I listened to an old recording of Marcel Dupré playing a piece he himself composed for organ: Cortege et Litanie. It is quite unlike any other recording of that piece we've heard. It raised in my mind an interesting question for which I have no answer: Are subsequent performers under any obligation to perform a piece exactly as the composer himself played it? In other words, is there a modicum of "faithfulness to authorial intent" that comes into play -- we might call it an "ethic of fidelity"? My intuition says yes, that we have no right to take any liberties with the tempo, volume, etc. just as we have no choice but to follow the notes as written. 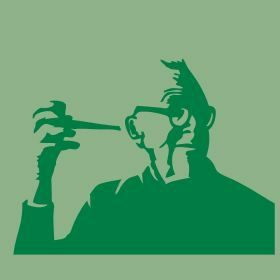 If, for the sake of argument, there does exist an ethic of fidelity when it comes to artistry, then what does that say for our English Bible translations that ignore, say, the rhetorical level of language and completely overlook the significant rhetorical devices (assonance, paronomasia, chiasmus, etc.) used by the original author? A good example is the alliteration with which the Epistle to the Hebrews begins involving the letter pi. Or take the Cretan poet that Paul cites in Titus. "Liars ever, men of Crete, savage brutes that live to eat." This rendering is at least an attempt to reflect the original poetry. This is quite a conundrum for me, but it's too early to think about it. 8:45 PM Nolan just stopped by. How do you like his farmer's overalls? 8:22 PM A huge shout out and thank you to the Collie and Evans families for fixin' supper for Becky and me this evening. It was delicious. Right now I'm saddling up to read a new book on the life of cavalry general George Armstrong Custer. 2:35 PM I wanted to take a minute and recommend to you some good websites. I believe the most exciting pilgrimage the people of God can embark on is to keep adjusting and readjusting our lives to Christ. If a church is centered on anything -- or anyone -- else, it is off balance. We ought to be scared to death of doing this. This readjustment is a process, not a single step. It takes constant attention and a whole lifetime to live and experience. Are you ready for some new, old, revolutionary ideas for your church? These websites will help you. The great danger most of our churches face is not that we don't do anything. We do plenty. The problem is that we don't do the essential things. 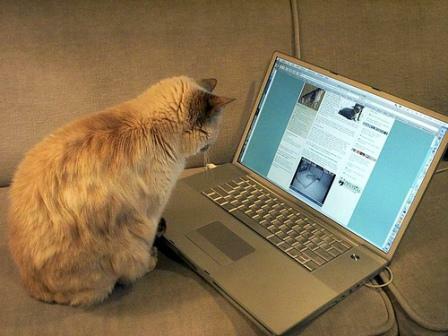 I hope you will take time to peruse these sites. May they help you to chase harder after God than you've ever done before. 2:20 PM Ain't they sweeeeet? 2:12 PM Today we received this phenomenal email from Ethiopia. It's a follow-up report about one of our evangelists who was beaten a few days ago. Rejoice with us! Thank you so very much for your prayers, quick and enthusiastic response to our evangelist “________”. Thank you also for informing others to pray for the evangelists. Yesterday we had been to “_______” to visit, encourage and comfort the evangelists; to your surprise it was we not they are encouraged. They are very strong, healthy and enthusiastic for the gospel. ______ said that “it is nothing as compared to the work of Jesus”. He is too strong and healthy; he never wants to stay on a bed even for a day. Now he is working as usual and as if nothing has happened to him.... I have also told your message to them; you never imagine how much it encourages them. Their face shines too much and told me to write you to take the situation as very simple. 10:25 AM Pastoral ministry is highly demanding. I constantly realize, however, that the burdens we assume are often self-imposed. Trying to move toward a more biblical view of work and ministry can be overwhelming. How biblically ignorant I can still be! It's particularly hard when people's expectations get in the way. So there is much room to rethink the wineskins. 1 Thess. 2:9: Don’t you remember, dear brothers and sisters, how hard we workedamong you? Night and day we toiled to earn a living so that we would not be a burden to any of you as we preached God’s Good News to you. 1 Thess. 4:11-12: Make it your goal to live a quiet life, minding your own business andworking with your hands, just as we instructed you before.Then people who are not Christians will respect the way you live, and you will not need to depend on others. Wow! This is very convicting to me. It seems that the Gospel fares better against outright opposition than against our frivolous and slothful lifestyles. A Paul slaving away night and day to support himself while doing ministry is a laughingstock. I am all for unity but today "togetherness" seems mired up in "conformity." Is the status quo worth maintaining when it comes to our work ethic? That's the question we'll be asking next Wednesday. Please pray that the Holy Spirit will guide our discussion. 10:12 AM Paul had healed many people in his ministry but he left Trophimus ill in Miletus. Frankly I am a bit relieved to read that. I am encouraged by the fact that Paul does not have one unbroken record of success. 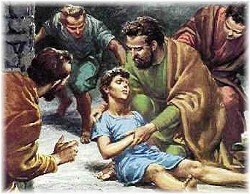 It reminds me that God is absolutely sovereign when it comes to physical healing. There is always an element we can't explain that must be left in the hands of God. Right now I must make room for a Miletus in my path. Which brings me to Becky. Her oncologists are aware that her cancer is a very fast growing type and that it has already begun traveling through her body. They have therefore suggested a very aggressive approach to chemotherapy. They've scheduled Becky's first treatment for Thursday, Sept. 18 at UNC. She will stay overnight (and possibly longer) for observation. I will of course stay with her the whole time. I wonder: Was Trophimus ever healed? We don't know. But he could have recovered later. I hope he did. Perhaps Becky will also. That too is up to our sovereign God, not us. So we pray. Becky's healing. Strength and courage. The work in Ethiopia in our absence. Faith, hope, love. 7:40 PM Next week in New Testament Theology our guest lecturer will be my colleague Alvin Reid. Alvin has a fantastic Great Commission website. His goal is to see God do something big in the hearts and souls of students across this nation and around the world. His speaking schedule leaves me breathless. The students he reaches are, I believe, going to become an army of on-fire teenagers who will set the pace for revival and transform their culture by reaching every teenager they know with the timeless message of the Gospel. What's really great is that I get to have him in my class next week. In the meantime, check out Alvin's latest essay called A Great Commission Seminary. As Alvin notes, SEBTS is certainly not the only seminary with its arms around the world, but it's the place where God has called us to teach. Speaking personally, I can think of no greater honor. Professor of Missions and Global Christianity (Baylor). 6:55 PM Coming soon to DBO: Essays en Español. 6:47 PM A reminder: My beginning grammar is available in electronic form from Logos Bible Software. I'm not surprised that Greg Heiser of Logos fame is using the electronic edition in his upcoming class, "Greek with Heiser." Go Greg! Now, when are the rest of you scholars out there going to offer a Greek class in your church? 6:42 PM You simply must listen to my beloved president Danny Akin's message in chapel yesterday on the life of James Fraser, former missionary to China. (Notice I said "must." My clout is derived from the authority vested in me as a manure-mucking farm boy from Nelson, Virginia.) Fraser died in China from malaria at the age of 52 just before the birth of his third child. As Danny said, most in the chapel audience probably never heard the "James Fraser" before. 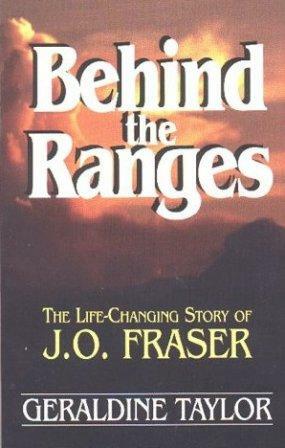 However, when I was a student at Biola in the early 70s, Geraldine Taylor's biography of Fraser, Behind the Ranges, was required reading in all of the missions classes there. If you are looking for a missionary biography that is profound in depth and prophetic in element, this is the book. Corrie ten Boom once said, "The first step on the way to victory is to recognize the enemy." Our enemy, as Fraser so clearly understood, is our prayerlessness and lack of faith. Satan operates in the realm of the heart, the will, the conscience, and the desire. But God has promised that the devil's attacks can be turned back. It was through prayer that James Fraser conquered his doubts, his fears, and even his severe bouts with depression. He saw his first converts only after 5 long years of prayer. Today the Lisu church numbers over 100,000. Christ's love compelled him – left him no choice, really – and today that same love is the inextinguishable fuel that sends Becky and me to Ethiopia and countless other Christians to serve Him all over the world. Fraser looked with Spirit-inspired eyes into the heart of God, and Christ's love propelled him forward. May that same God and that same Jesus do the same for each of us today. By the way, would you please join me in praying for President Akin as he has surgery on Friday? 6:36 PM "The Battle for the Gospel" is the title of Scot McKnight's upcoming lecture series at Ashland Theological Seminary. The dates are October 26-27. For a .pdf of the event, go here. 6:31 PM Speaking of internet video, You Tube features Aaron Copland's Fanfare for the Common Man. As a trumpet player I am amazed at the difficulty of this piece. But the NYP disappoints not. The trumpets sound so epic. I never cease to be amazed how Copland can weave such beautiful musical tapestries using so few notes. The piece ends with chord changes that are completely unpredictable. The piece is simply shocking in its beauty. 6:26 PM Teaching from the book of Hebrews? This You Tube would make a great intro. 6:22 PM Special thanks to my colleague Andreas Köstenberger for lecturing in our New Testament Theology class today on the Gospel of John, which one scholar has gone so far as to call the "Maverick Gospel." It was an excellent survey of the issues as well as the big picture. For more on Andreas's current writing activities, see the recent interview at Broadcast Depth. 6:16 PM I encourage you to check out the latest issue of the McMaster Journal of Theology and Ministry. Lots of good stuff here, including an essay titled "Who Is the 'Woman' in 1 Timothy 2? ', which concludes that the best translation of gune in this controversial passage is "wife," and another article called "Losing Christianity: A New Testament Scholar's Fall from Faith," which argues that Bart Ehrman's recent books are more an apology for his de-conversion than the presentation of any useful information. 6:12 PM Kary Oberbrunner talks about the inevitability of change in his essay One Step Forward, Two Steps Back: Being Progressive in a Stagnant Church. I think he makes some excellent points. Too often we live as though imperfection were the standard, whereas God says, "Let us continue to be carried along to maturity" (so the Greek of Heb. 6:1). We can't expect anything of ourselves, but we can expect everything of God. I don't think He's very happy when we settle for a smug and comfortable acceptance of substandard living. When we are 19 our entire life stretches out before us. We can't see too far into our future and know what impact the events of our youth will have upon our later life. My recent return to Vietnam was a blessing as I was able to look back and see clearly how God has been at work in my life in the last 40 years, helping me to recover from the trauma of war and leading me into the unimaginable blessing of being a Christian professor at this wonderful place called Biola University. And hopefully I can be a testimony to young men and women returning from their own traumas of war and help them follow the lead of Jesus to recovery in their lives. Man there's a lot of wisdom here. Mike's testimony reminds me that great soldiers are developed in battle, not in swivel chairs and comfortable offices. 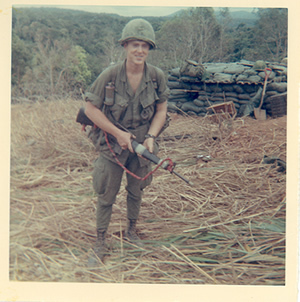 It took the grindstone of Vietnam to sharpen an axe. I encourage all of us to remember that the world, not the church, is our proving ground. 6:02 PM A student sends along this fantastic poem on the upside-down kingdom of Jesus. It's called The Valley of Vision. 6:00 PM Just back from school. It's great to see so much activity on campus. It's as if a God-sized defibrillator jolted us back into life. The summer was very quiet, but all that has changed. Welcome back students. Let's make a difference for the kingdom! By the way, my secretary sent this "edible bouquet" home with me for Becky. Isn't it gorgeous? Thank you, Miss Phyllis, for your thoughtfulness. Becky loves it! 6:55 AM Off to school. Let's see if I can remember this time to take my home cooked meals with me to campus. Last week I forgot them and subsisted on canned soups for two days. 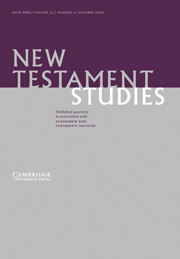 6:51 AM The latest issue of New Testament Studies promises to be well worth reading. For an overview, go to Michael Whitenton's blog. And heartiest congratulations, Michael, on your first article in NTS! 6:46 AM From the Kyria blog comes this essay on Jesus-Style Service. Like the author, I too am tempted to cry out, "I'm not your servant!" But that's exactly what I am in Christ. I exist to serve my students, not them me. I exist to serve Becky, not her me. I exist to serve the world, not it me. No Christian has the luxury of saying, "I am happy to be a son, a saint, a sinner saved by grace -- but I would rather not be a servant." We do not have that option. God please help my students to become more like Jesus not because of what I say but because of how I live! 6:36 AM Almost forgot to mention a huge blessing. Last night as I drove home from Greek class at The Hill it was my joy to listen to a live performance by the North Carolina Symphony of Aaron Copland's Appalachian Spring on WUNC. I wanted to cry, dance, and shout praises to God all at the same time. Never have I resonated more with a piece of classical music, which rightly earned for the composer a Pulitzer Prize. I could visualize the young family as they built their home in the 1800s and passed through the seasons of life. My own life seemed to pass before my eyes -- its good days and bad, its blessings and challenges, its pleasures and suffering. Appalachian Spring is hauntingly beautiful and uplifting, especially when played so passionately. 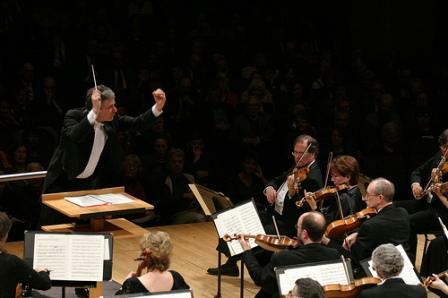 A loud "bravo," then, to the NC Symphony Orchestra and its conductor, Grant Llewellyn, for a magnificent job marred only by the incessant coughing of one or two people in the audience.